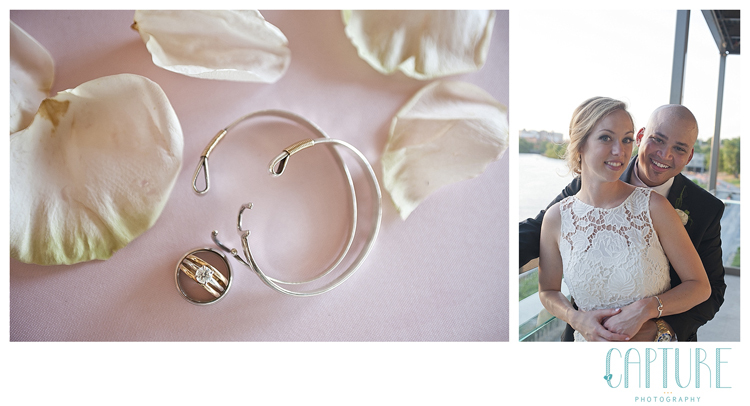 On a gorgeously sunny winter day, tucked into the historic downtown John Marshall hotel, Mark & Meredith celebrated their love for each other in the best way possible; an elegant ceremony surrounded by the rich love of their friend and family. 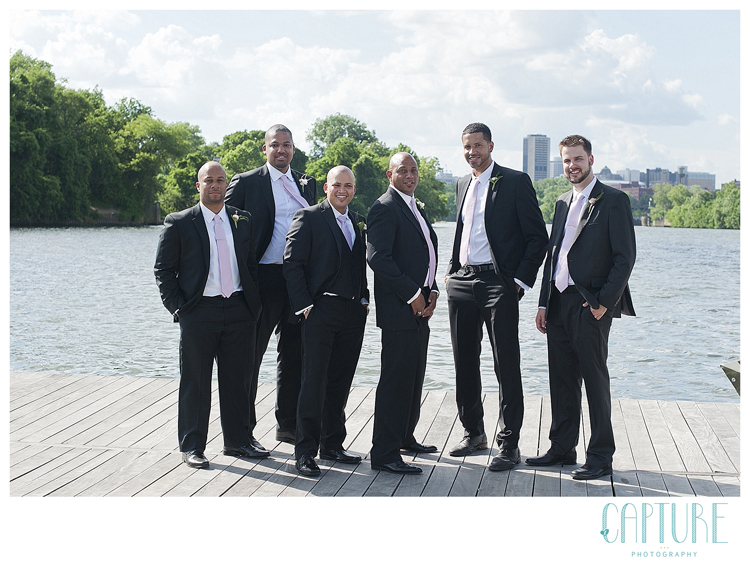 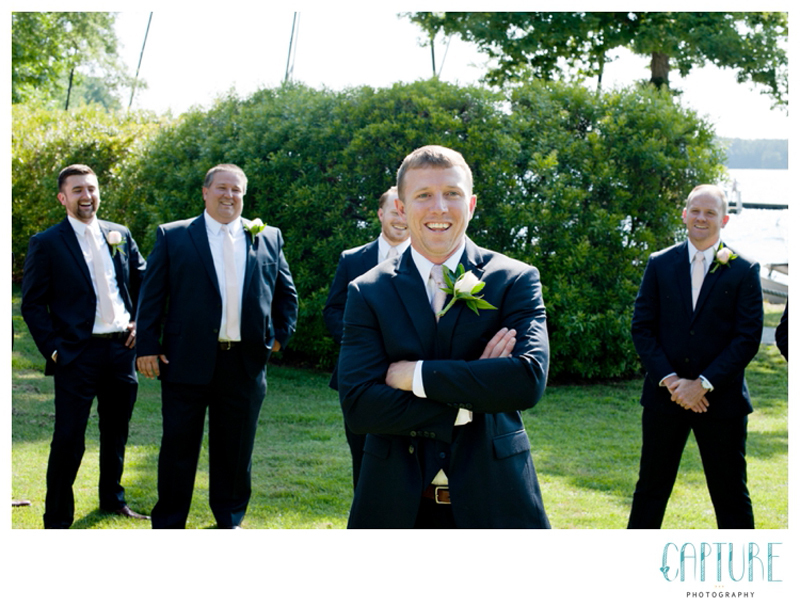 From the handsome groomsmen’s gifts to the cozy faux-fur shawls for the bridesmaids, this couple put so much thought into making sure everyone was cared for. 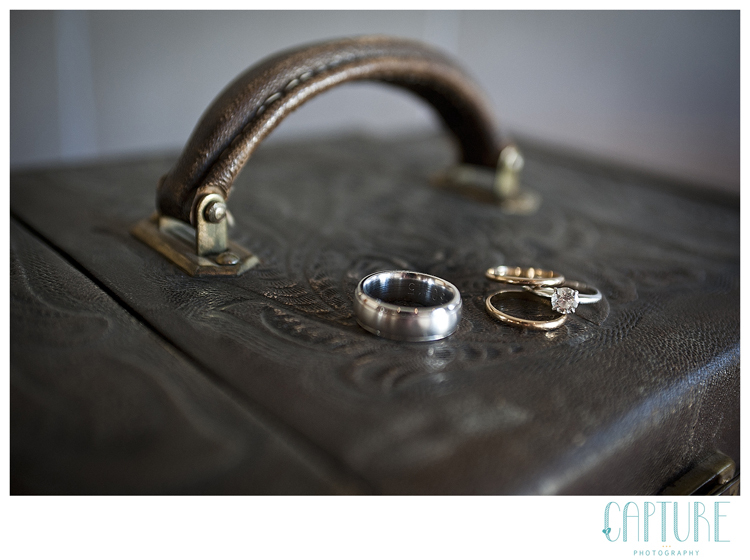 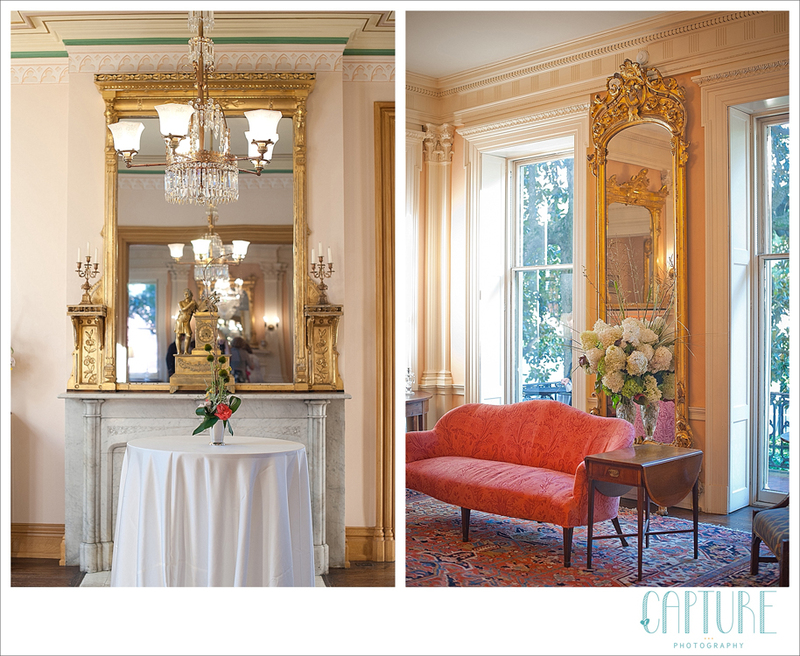 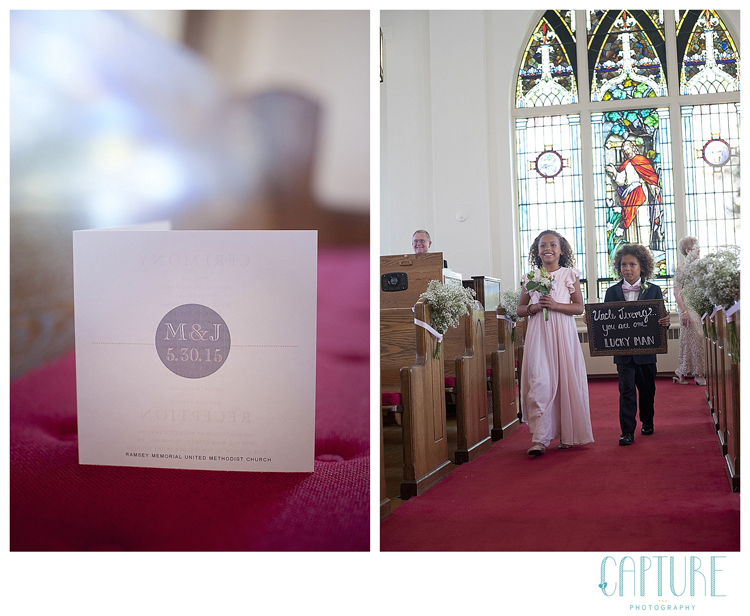 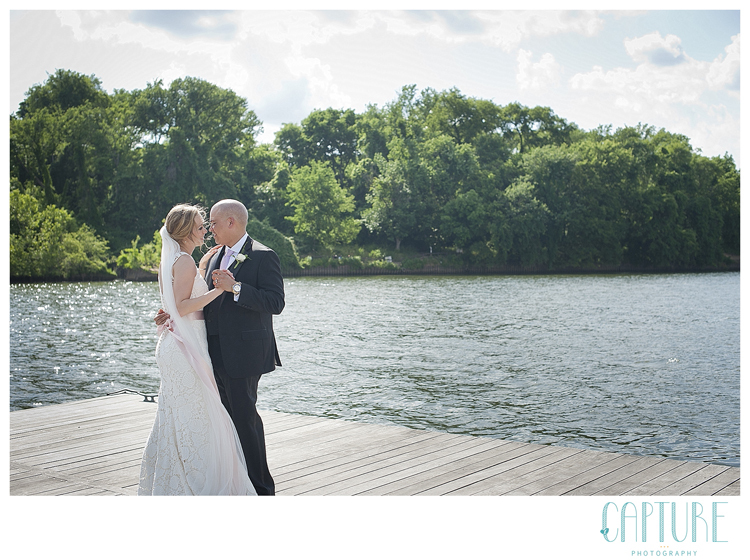 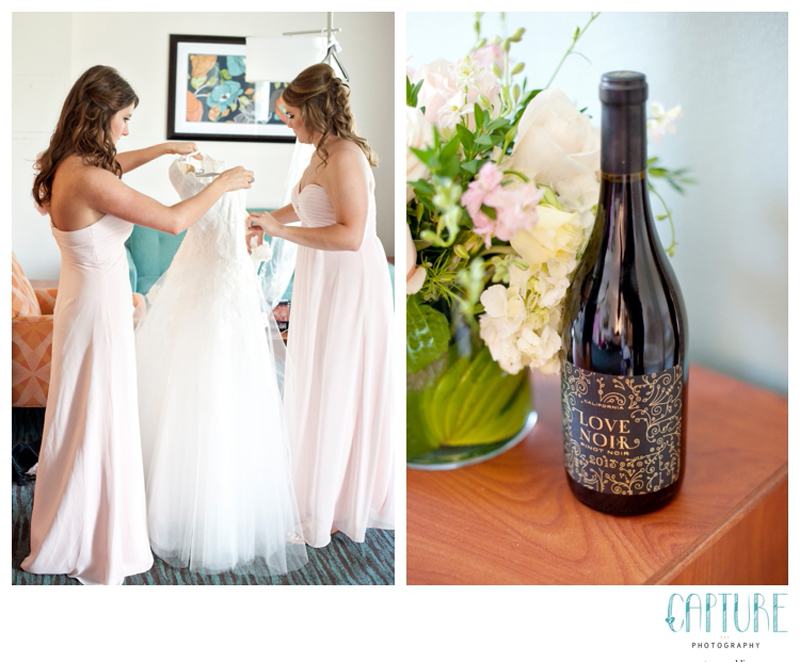 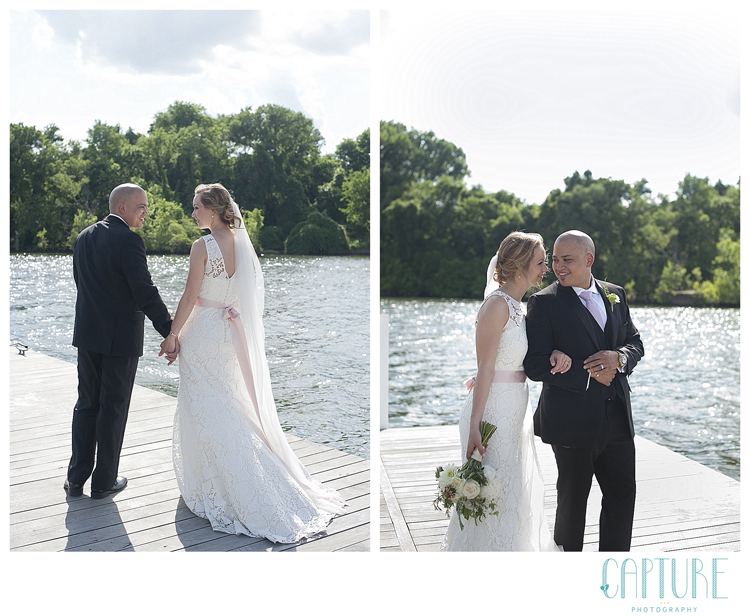 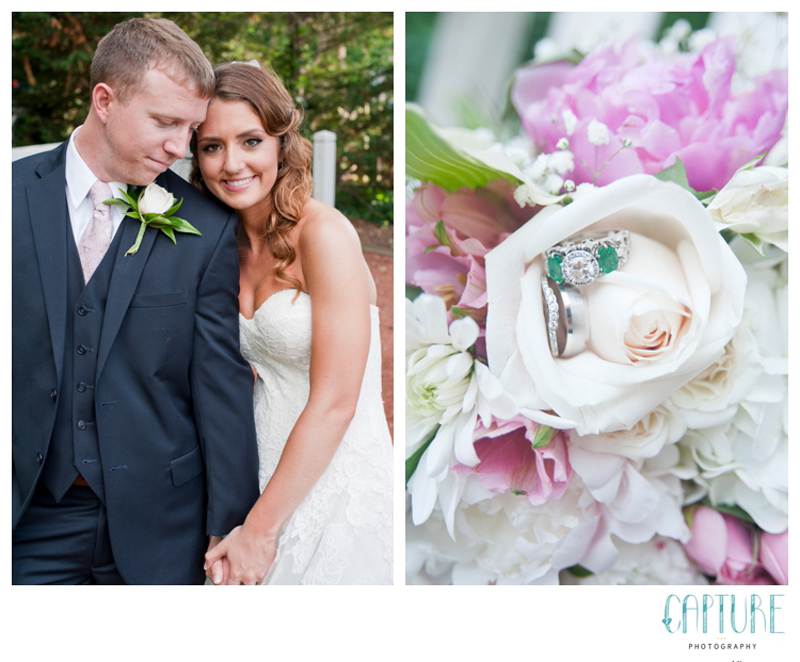 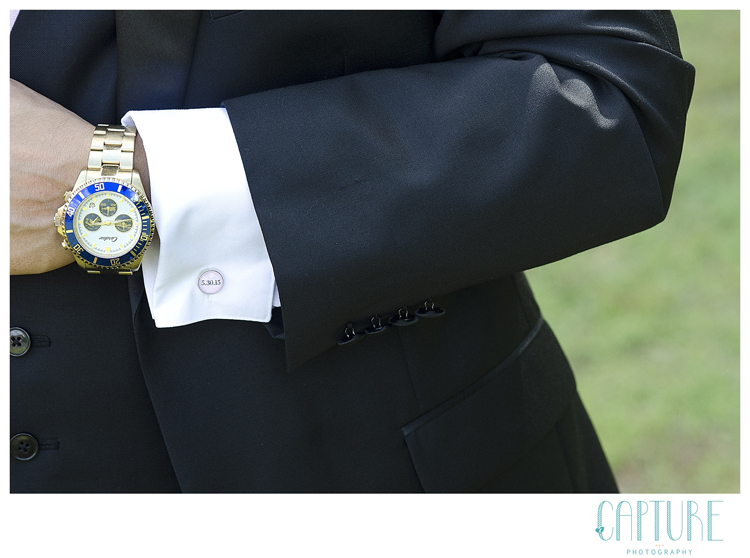 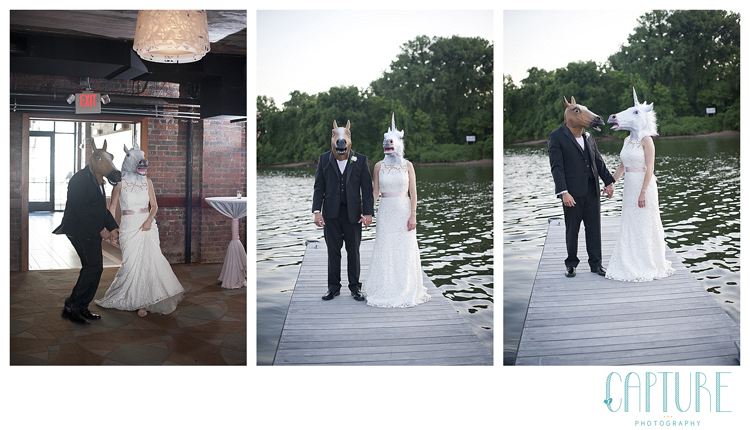 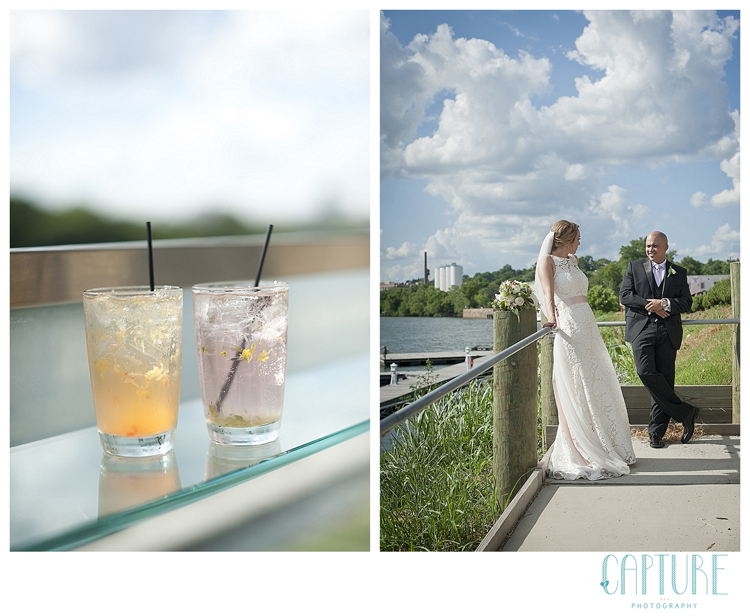 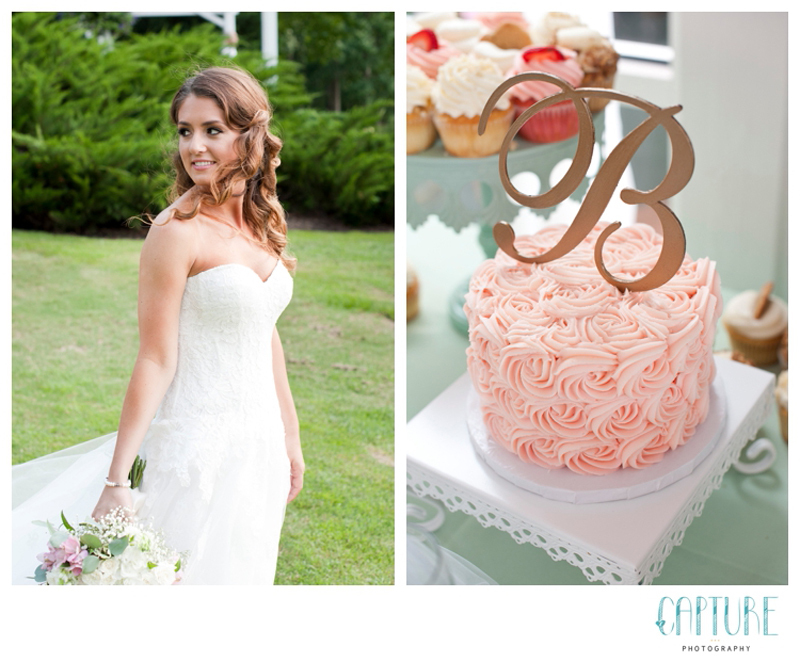 We were positively thrilled to document their day, and the fact that it took place in one of our favorite Richmond wedding venues was simply icing on the cake! 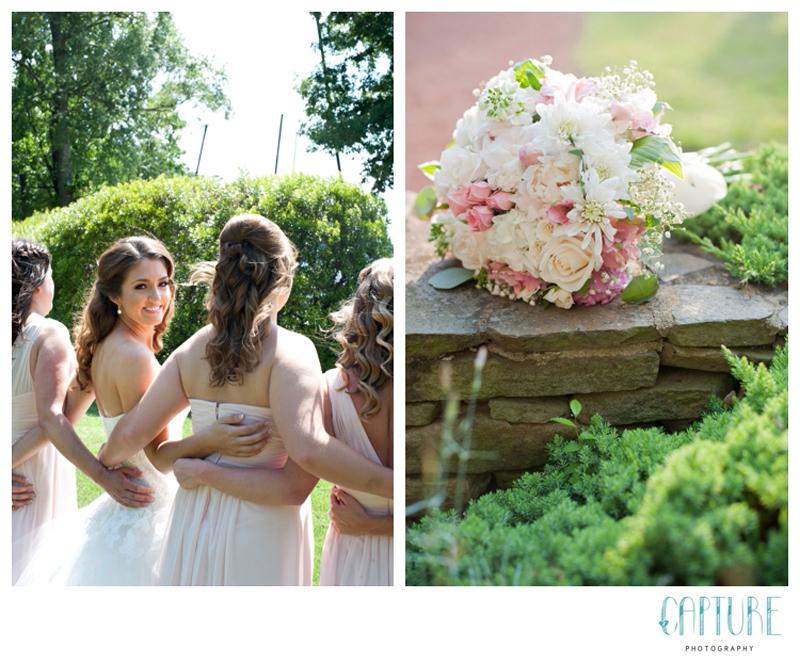 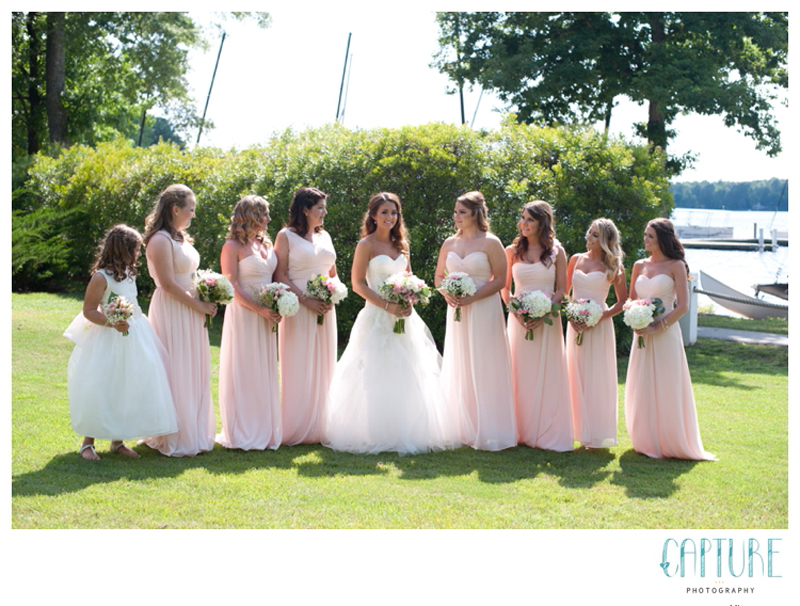 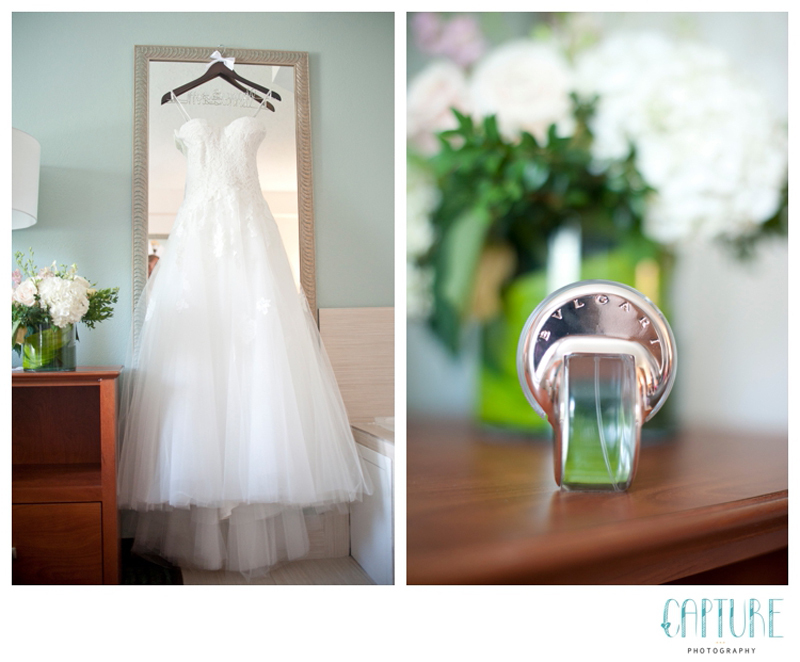 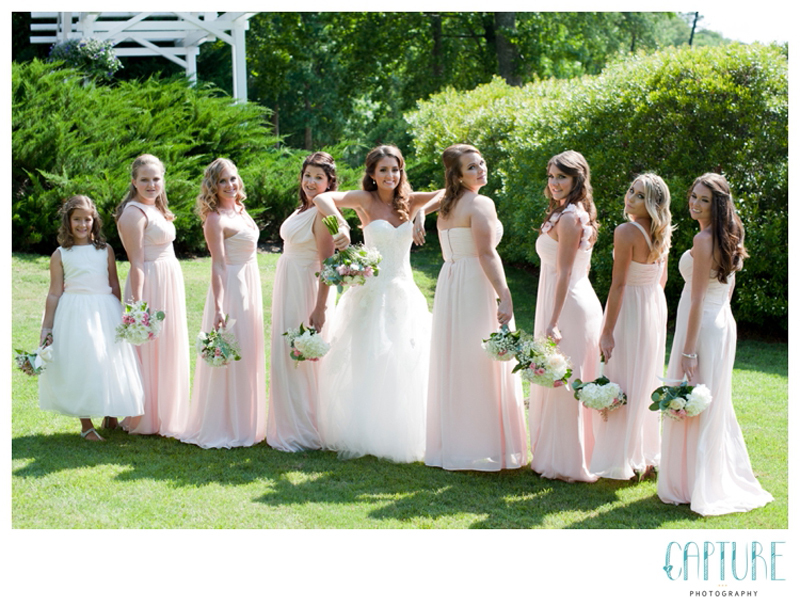 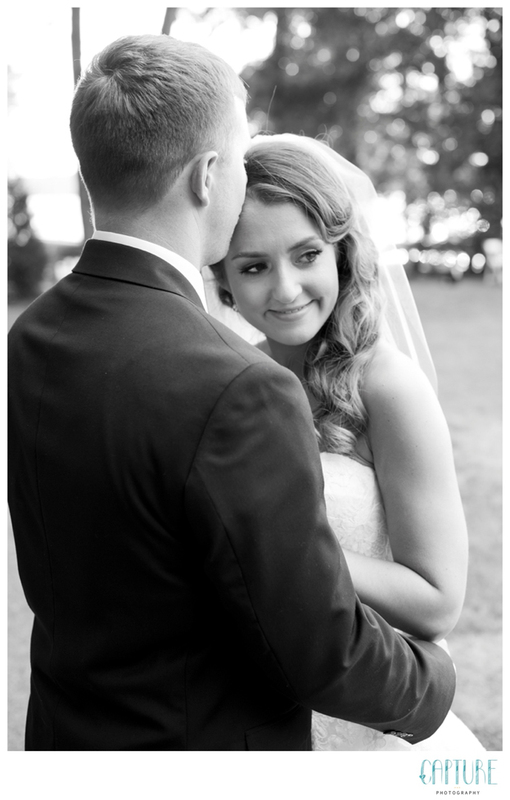 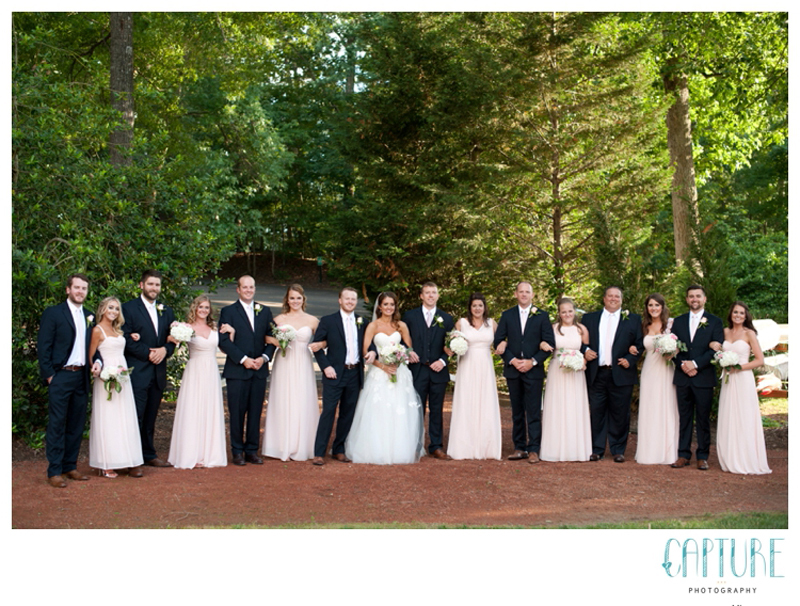 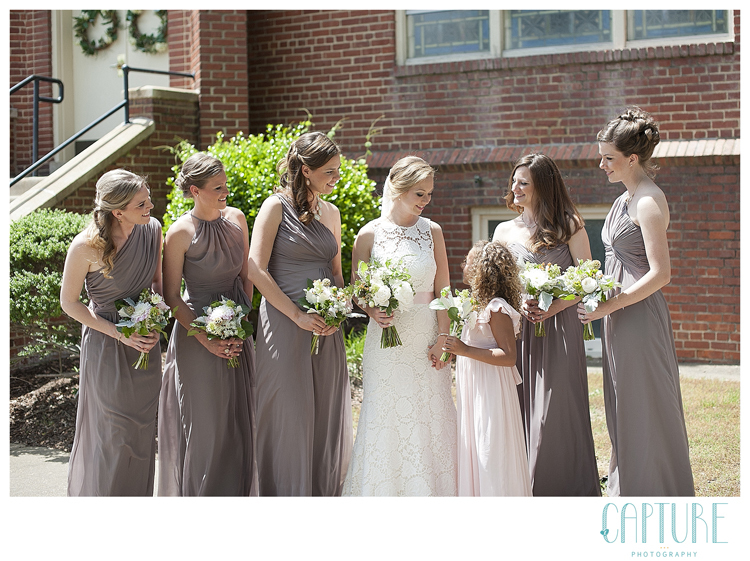 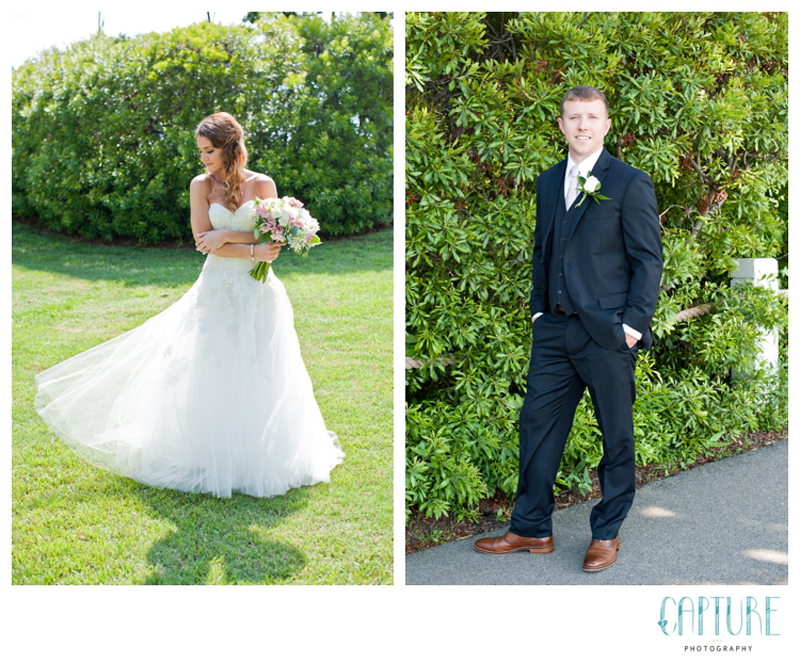 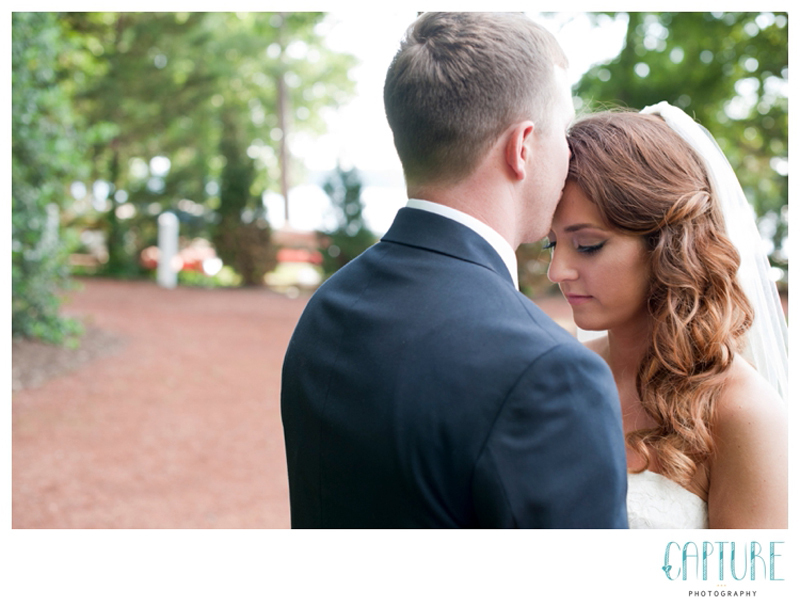 Meredith, you are such a classic beauty; we could have spent the entire day on Bride + Groom portraits! 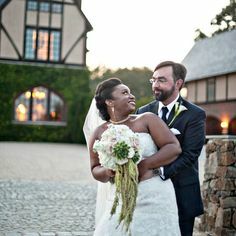 The wonderful thing about portraits before the ceremony is that it takes a little pressure off the couple, leaving them to simply enjoy being married. 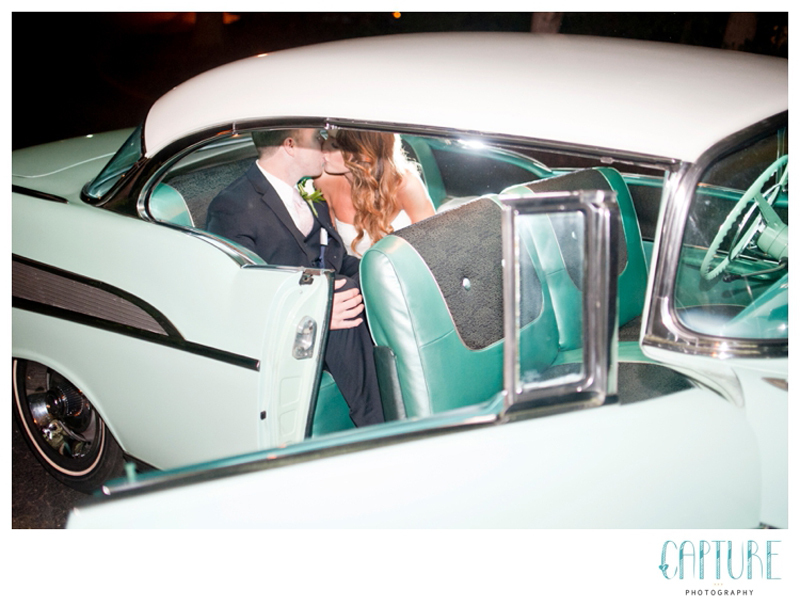 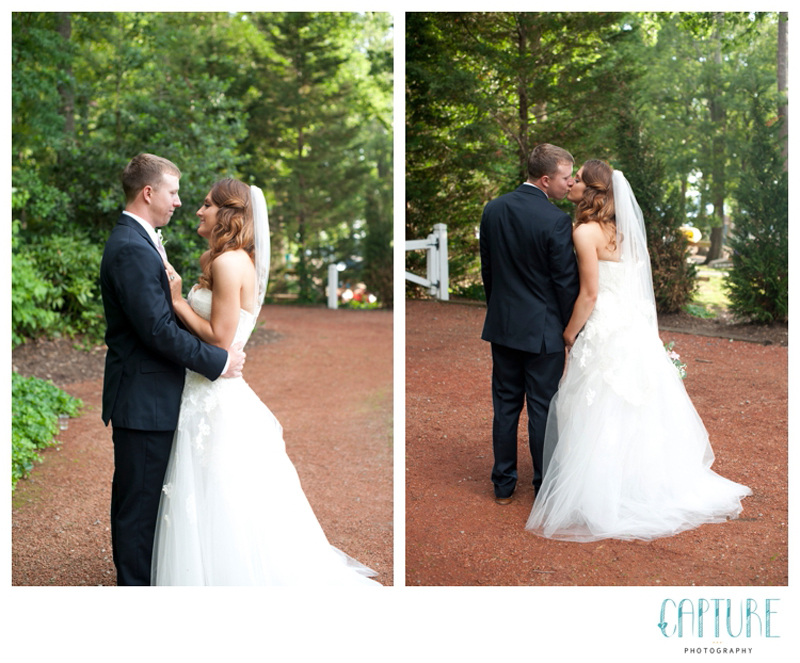 The ceremony was heartfelt-and so was their first kiss as husband and wife! 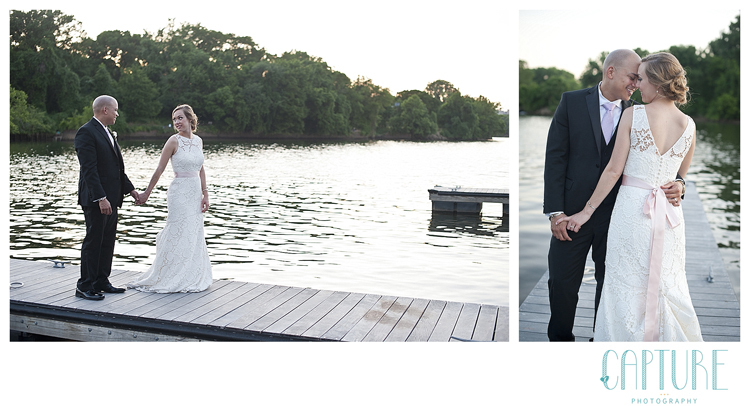 At the end of the evening, we stole the newly minted couple away for our trademark nighttime photo, and a quiet moment for just the two of them. 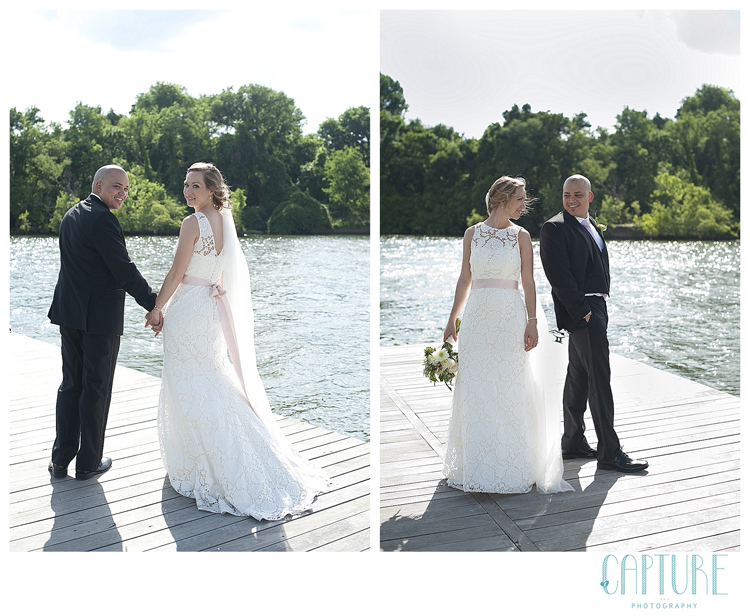 Mark & Meredith, thank you for trusting us with documenting your love story; we hope you are having the time of your life in Paris!! 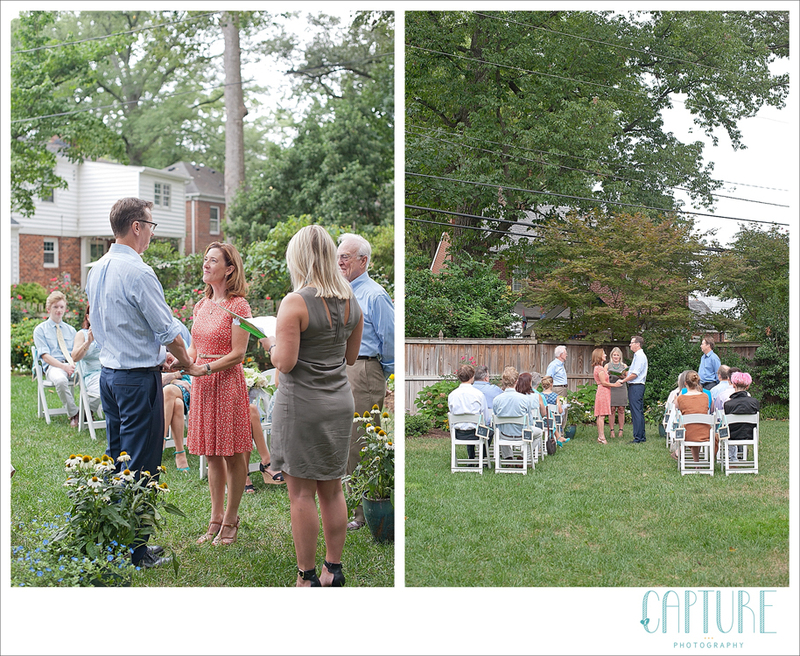 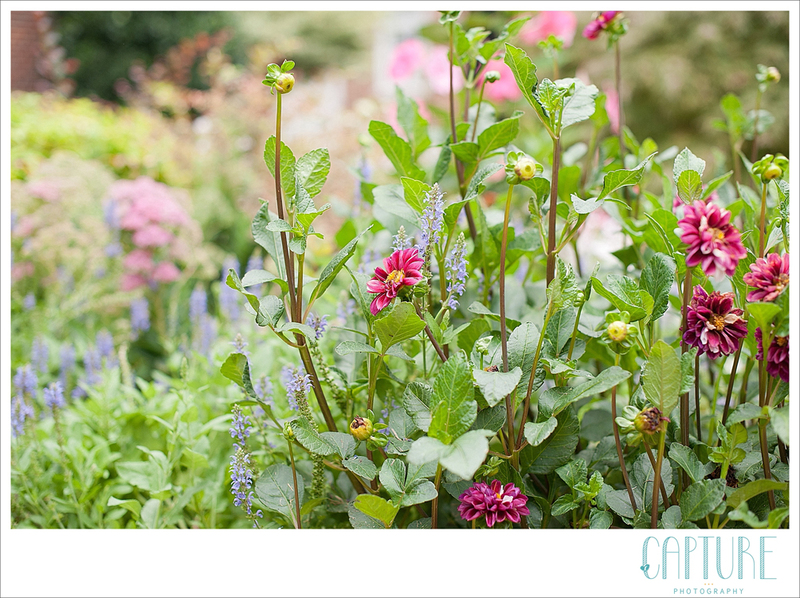 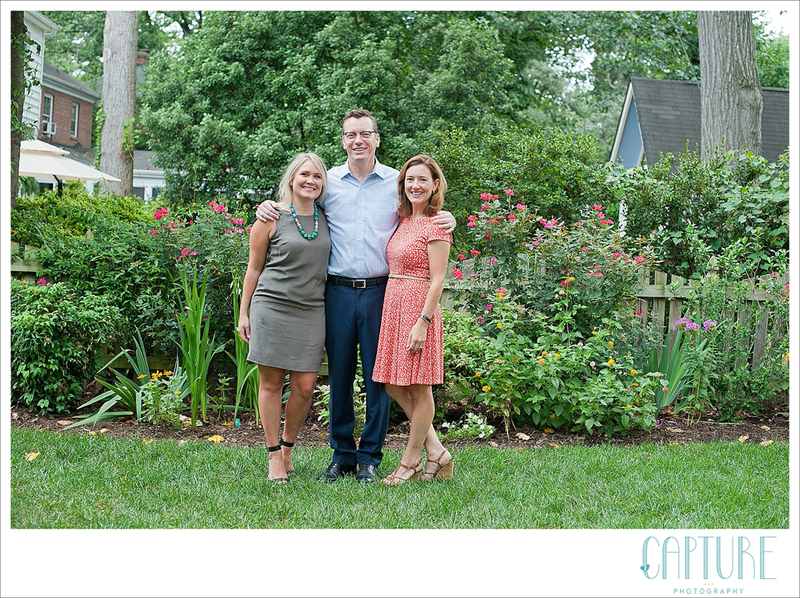 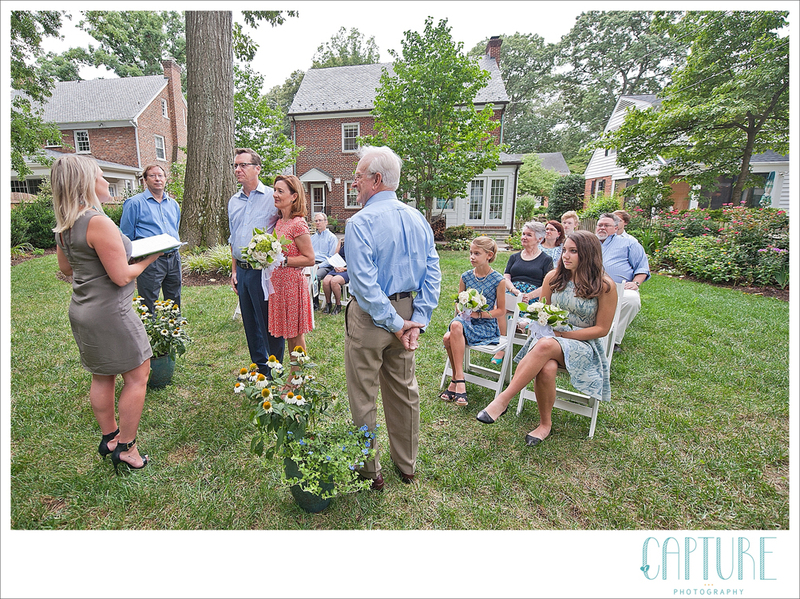 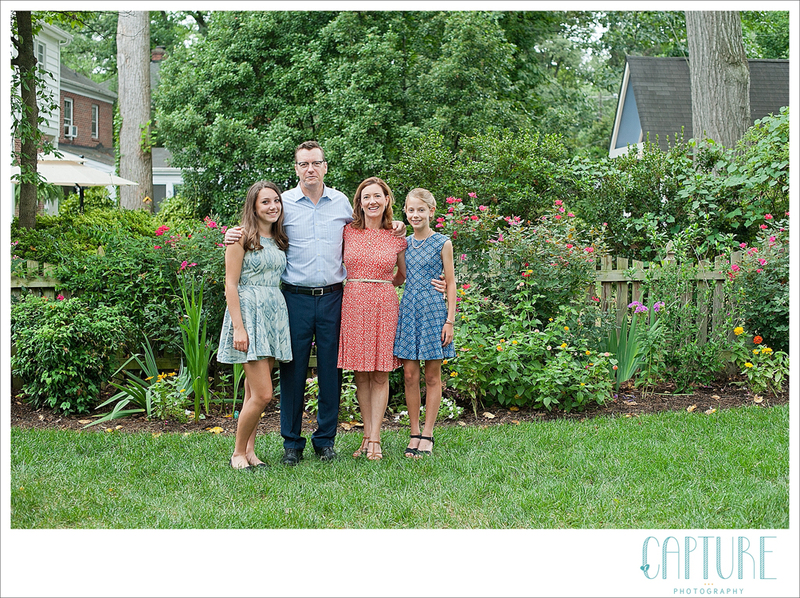 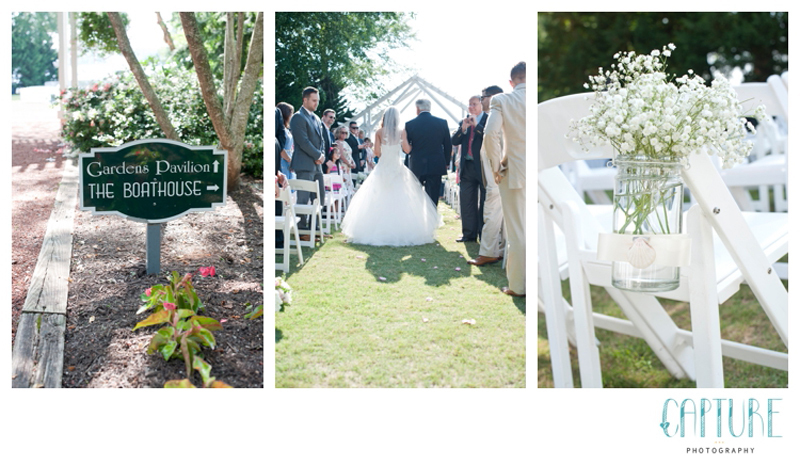 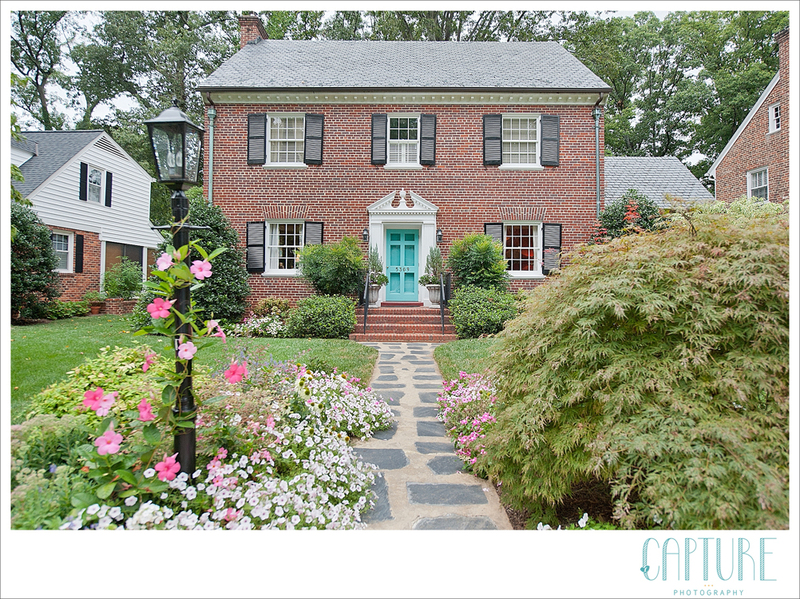 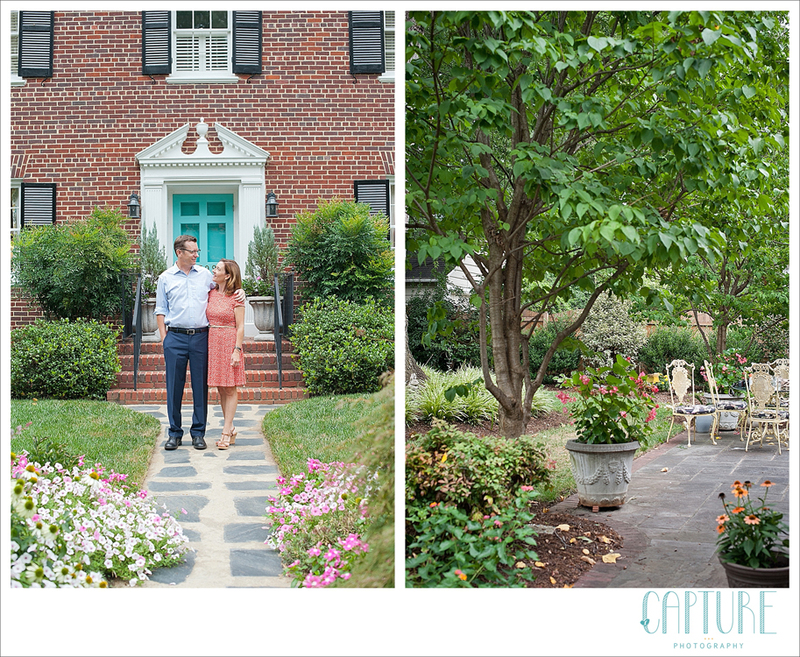 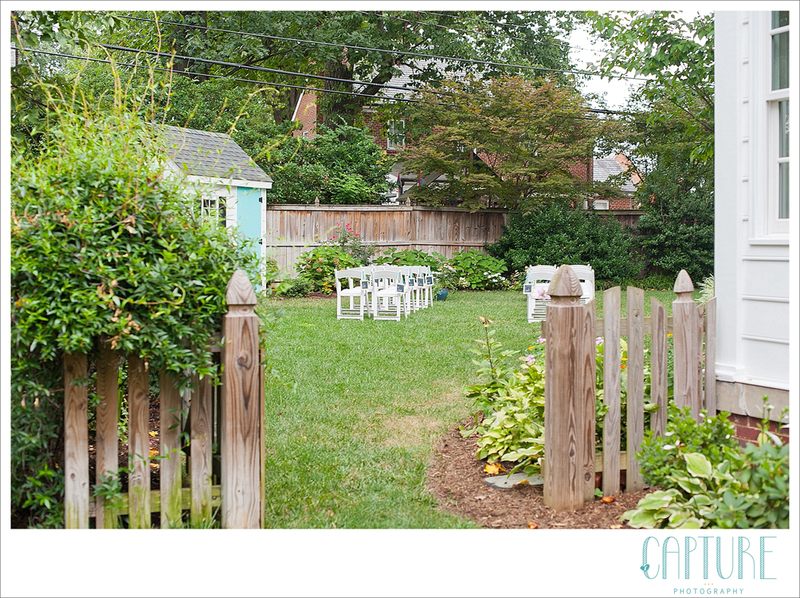 When the Director of the Richmond’s Historic Garden Week, with the Garden Club of Virginia, gets married – you can bet there were a lot of beautiful floral decorations incorporated into this backyard wedding. 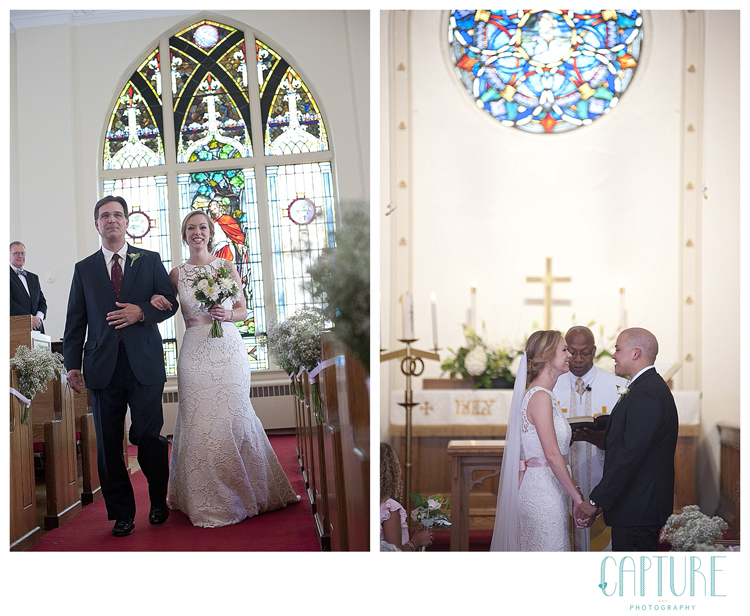 Dave, being a videographer, staged every detail – even the cloud coverage for beautiful light! 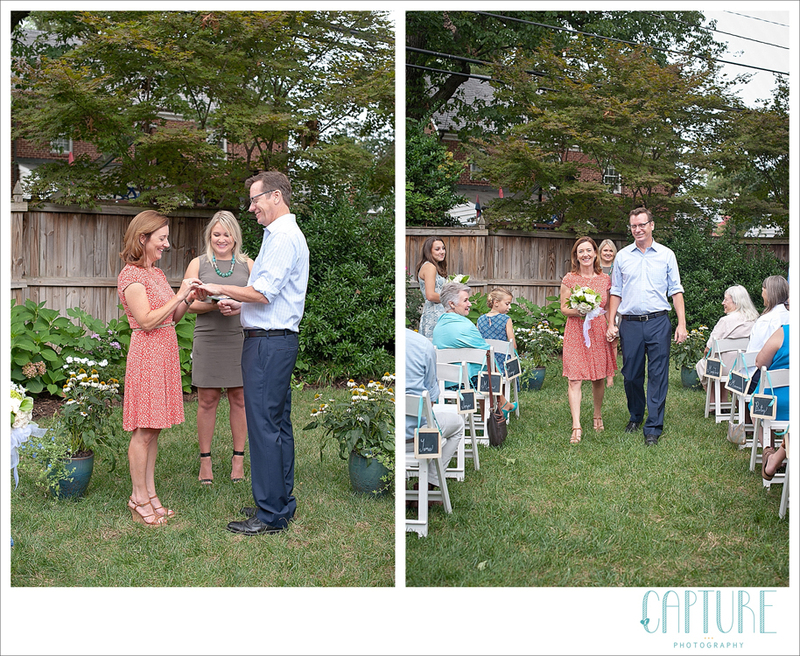 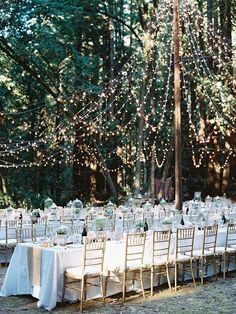 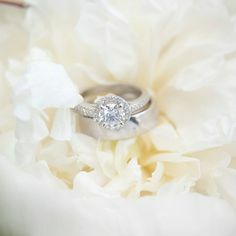 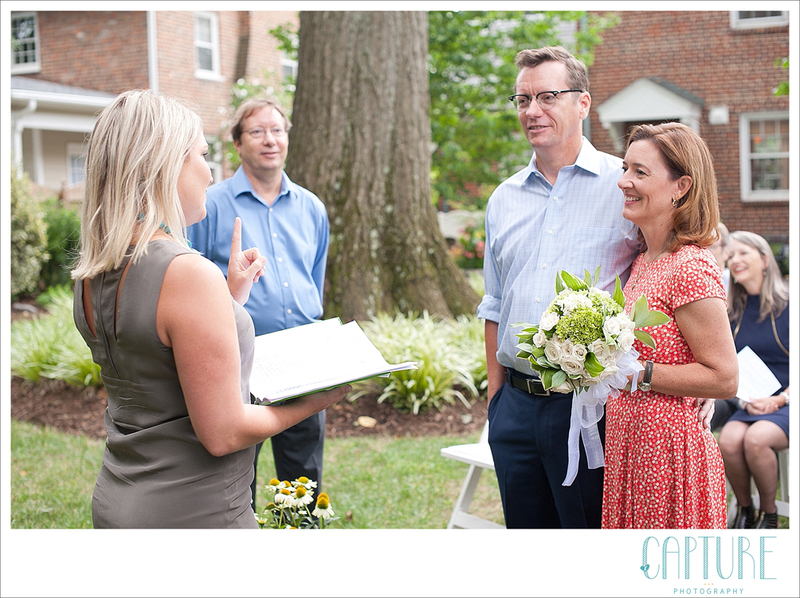 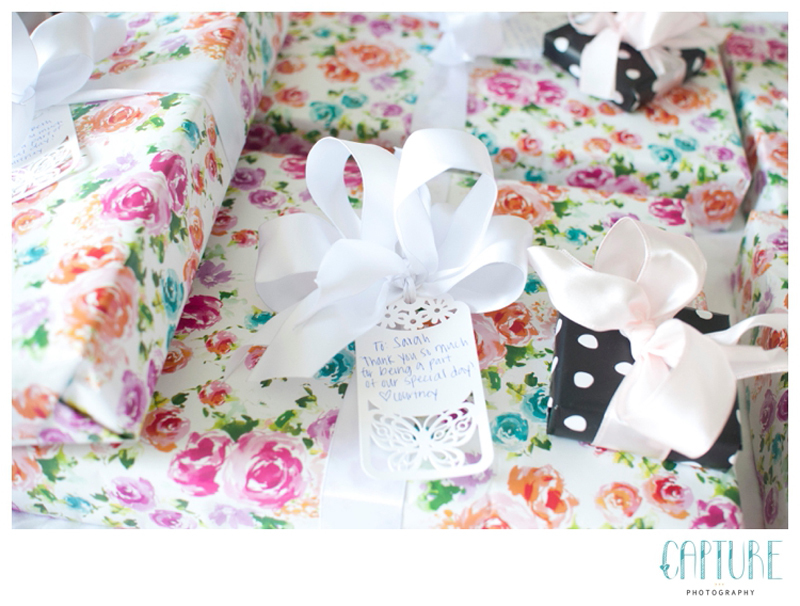 The couple began their day with a morning ceremony in the backyard of there home. 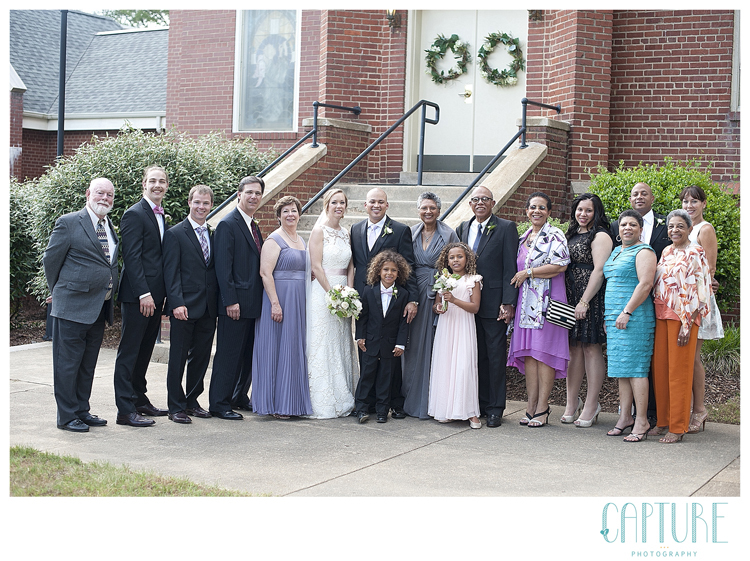 In the presence of family they were married by the friend who brought them together. 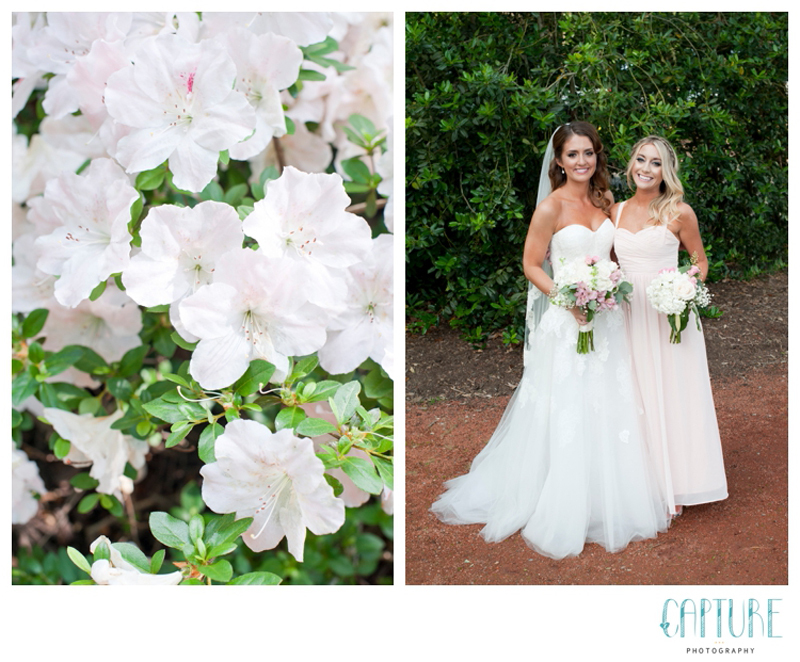 They wanted to emphasize that their marriage was the blending of their two families and Karen’s daughters had the special role of walking their mother down the aisle. 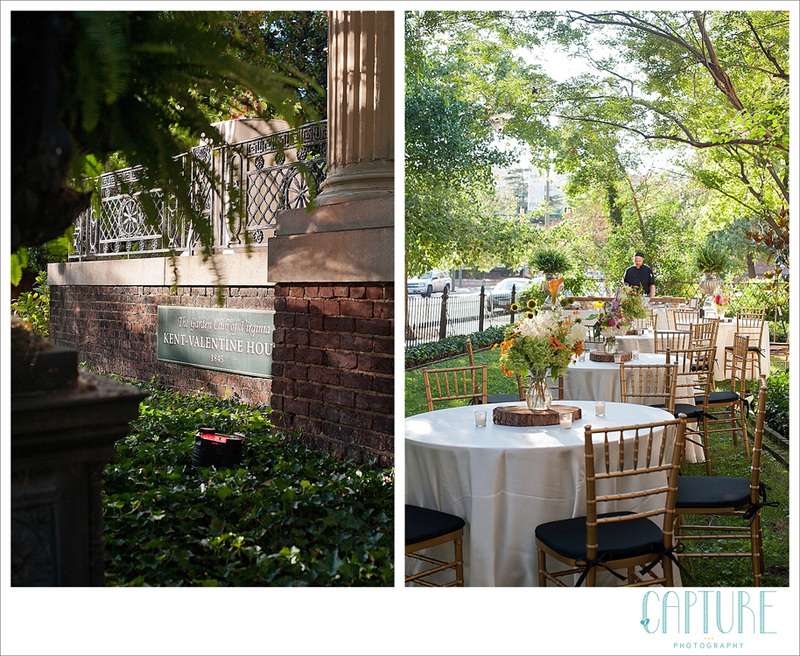 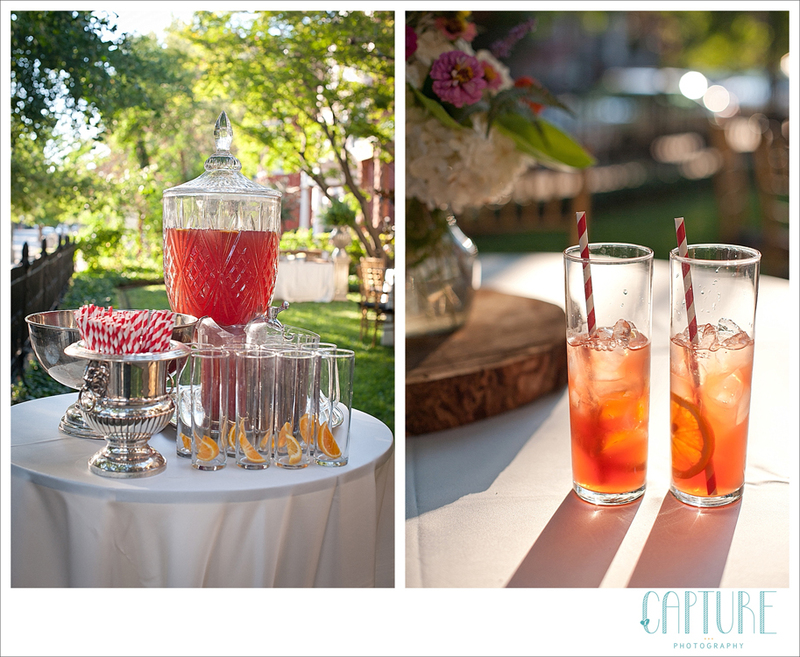 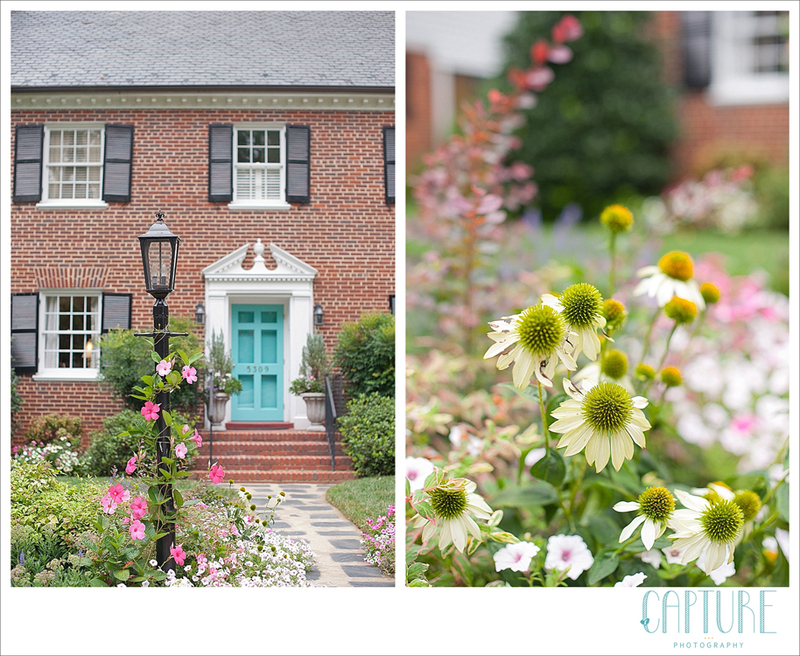 In the evening they hosted a party at the Kent-Valentine House, the headquarters for the Garden Club of Virginia. 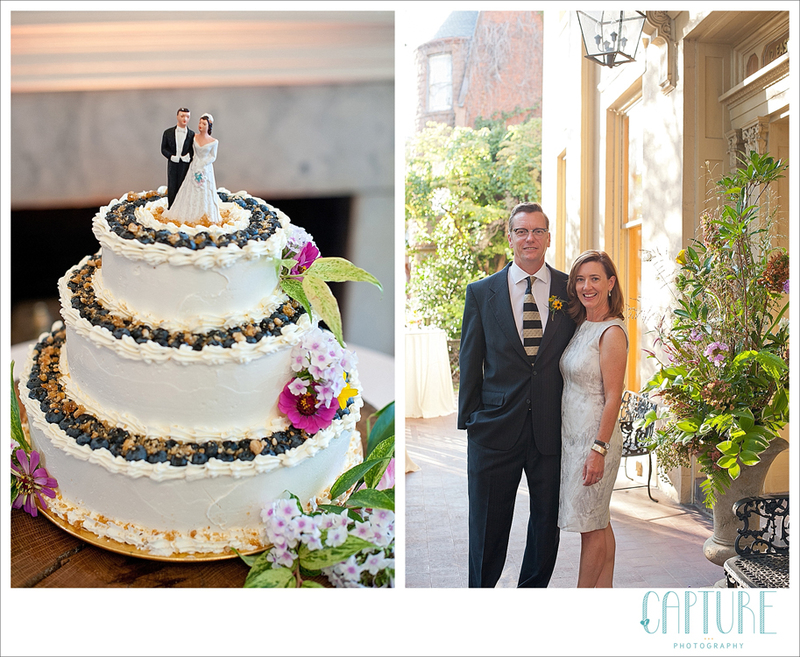 The family celebrated with friends from all over the globe who flew in to be a part of this couple’s special day.With Mosaic catering and a special gift by a friend who happens to own Belmont Butchery , they all enjoyed amazing food in a stunningly classic, Richmond setting. 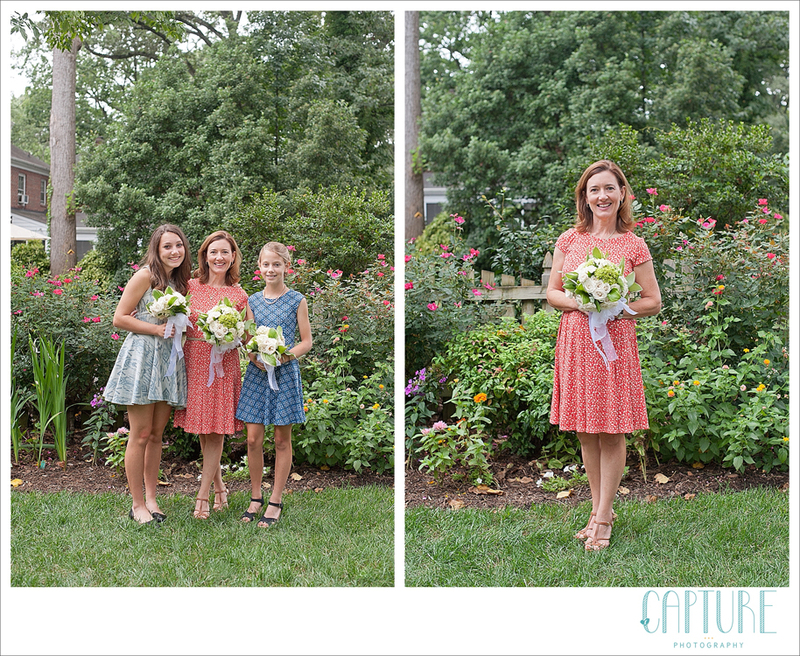 Karen and her daughters worked all through the spring and summer together to make their yard perfect in time for the wedding. 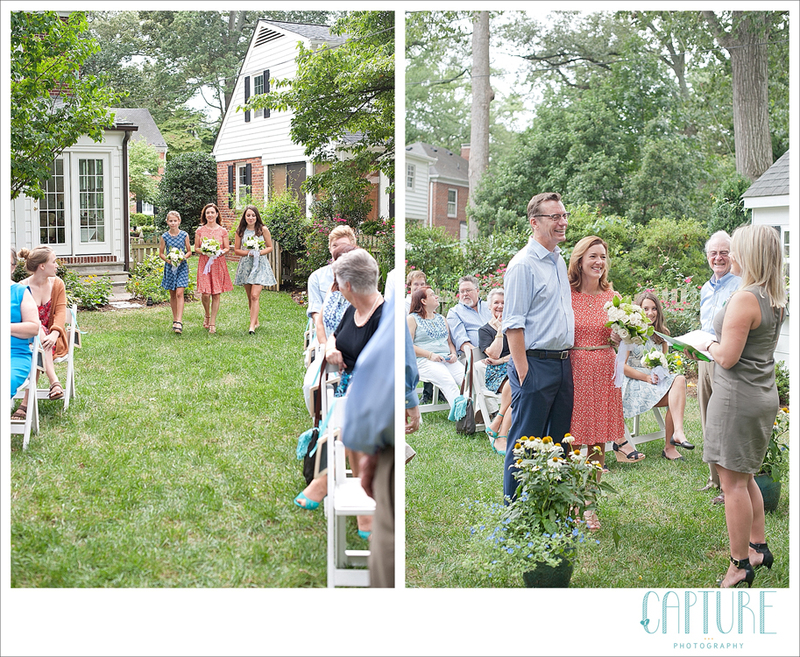 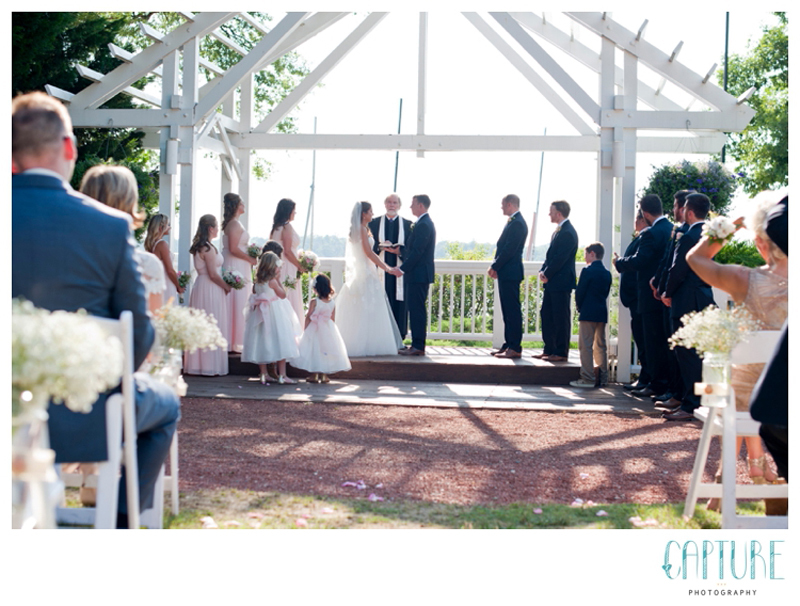 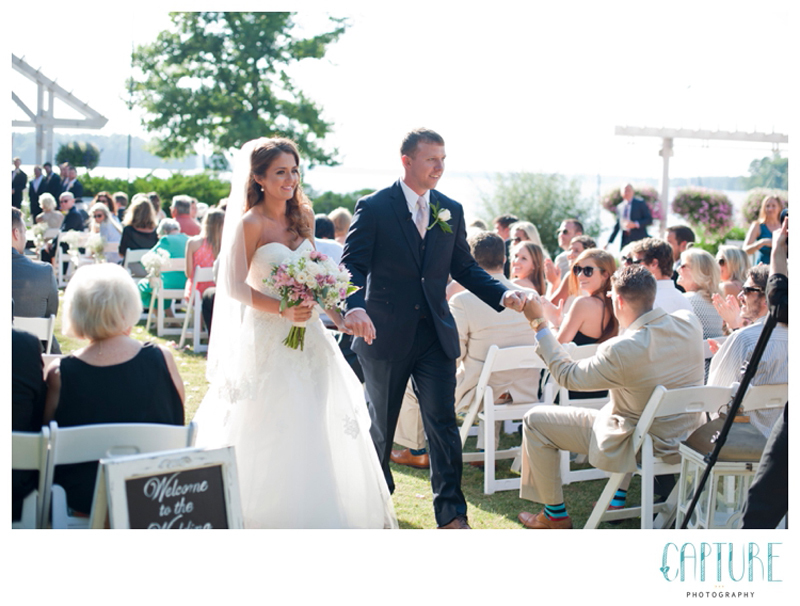 Their friend the match-maker was able to be the officiant for their wedding! 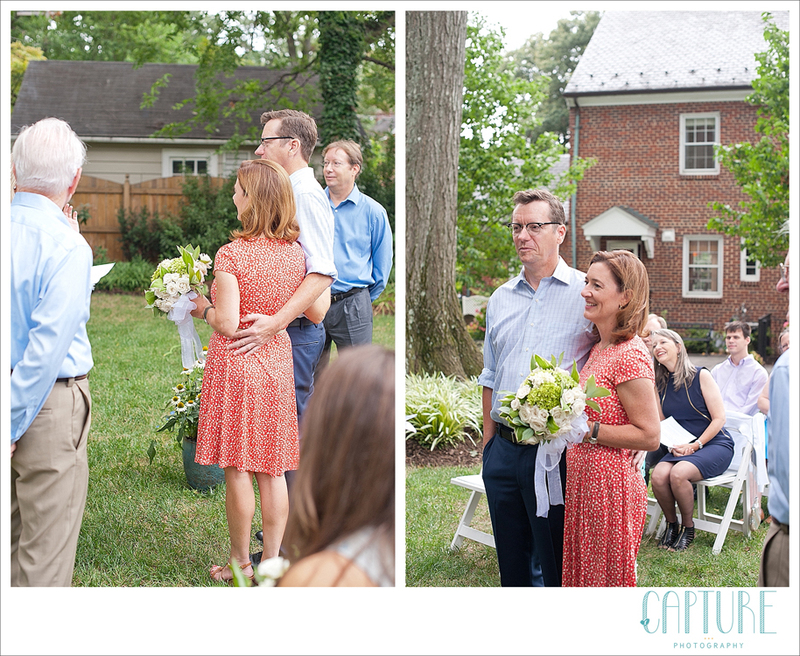 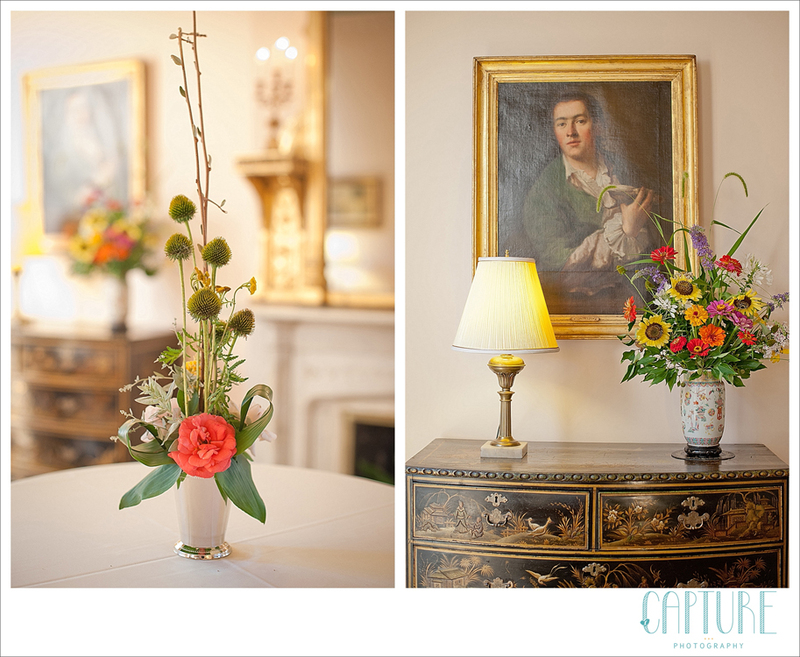 All of the flowers for the reception were straight from the Garden Club of Virginia’s garden and arranged as a gift to the couple. 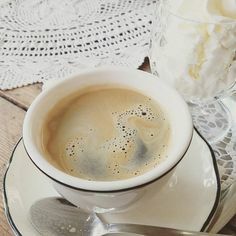 The afternoon started with lots of sunshine; the traditional kind of course, but also the kind that comes from being surround by people who adore you. 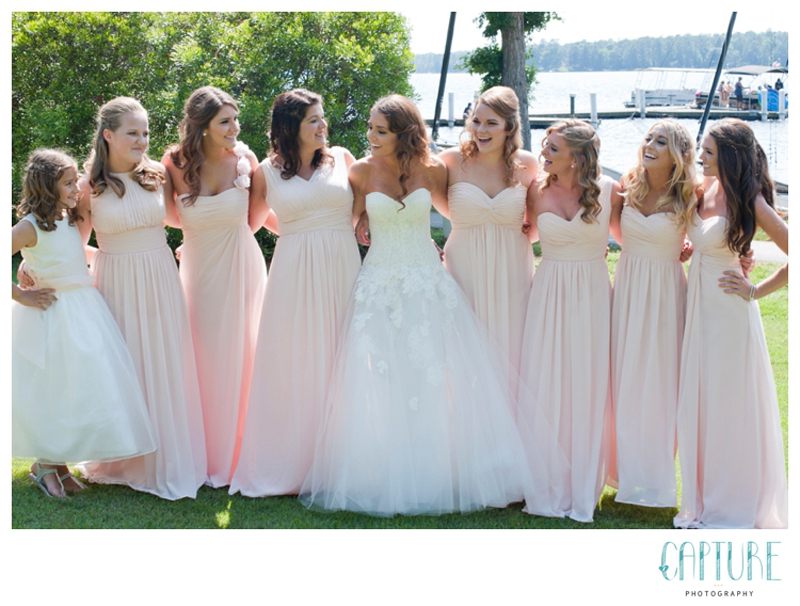 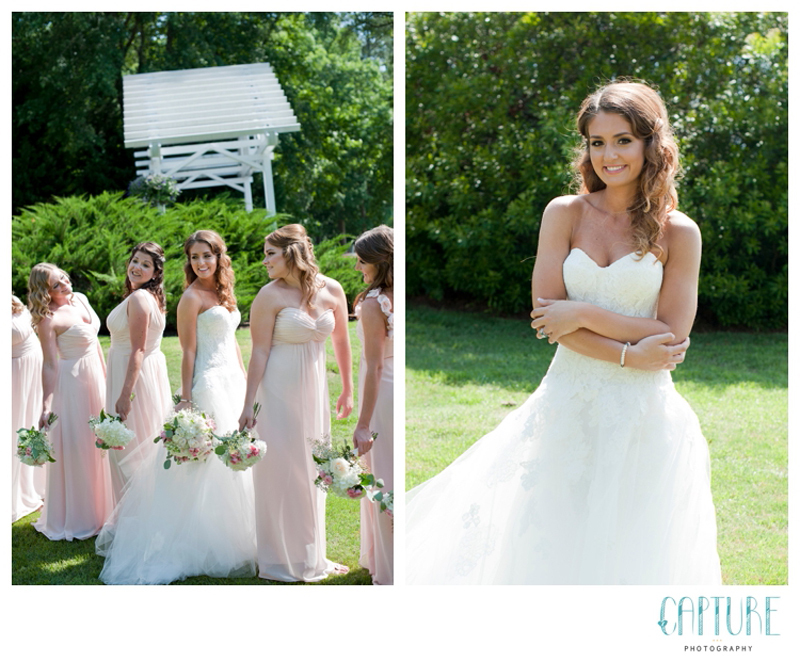 And Courtney is clearly adored, surrounded in her bridal suite by a group of sweet, loving ladies who were SO excited to share this special day- let’s just say that the tears started flowing before she even had her wedding dress on. 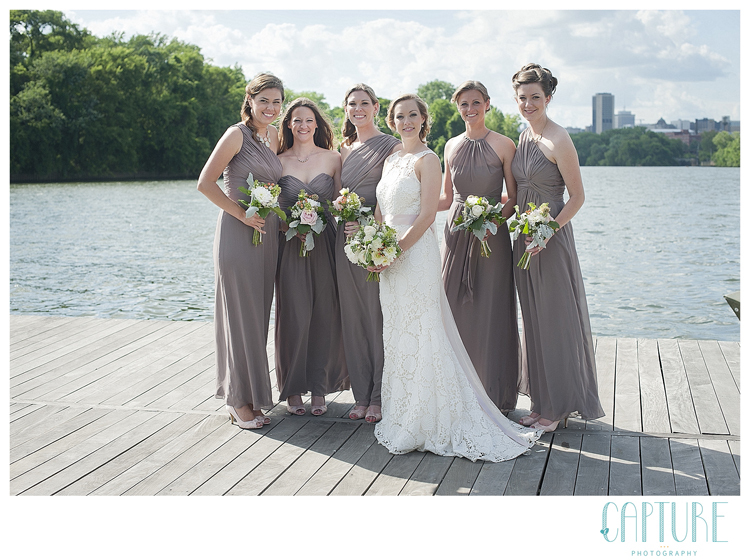 Courtney spoiled her bridesmaids with personalized gifts (jewelry and monogramed bathrobes) before we headed to Sunday Park for bridal party photos. 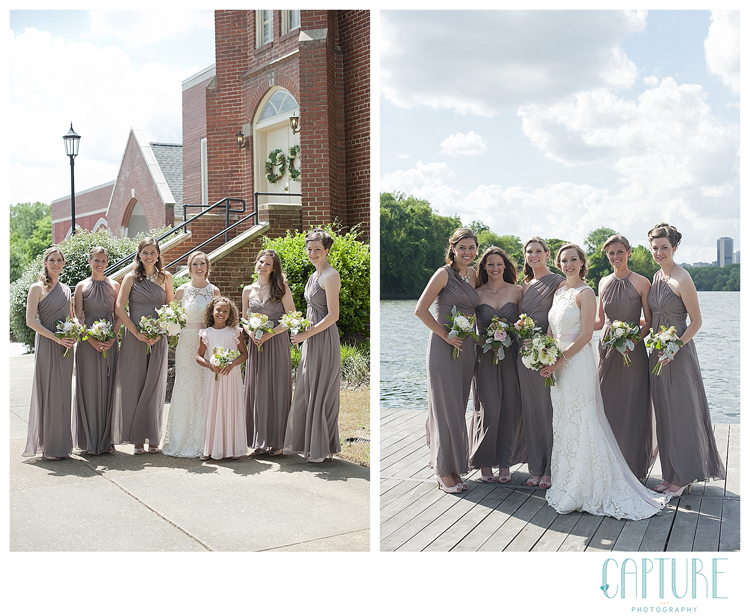 Once we arrived at Sunday Park, the girls surrounded Courtney with hugs and smiles, making a gorgeous wedding day even MORE photogenic! 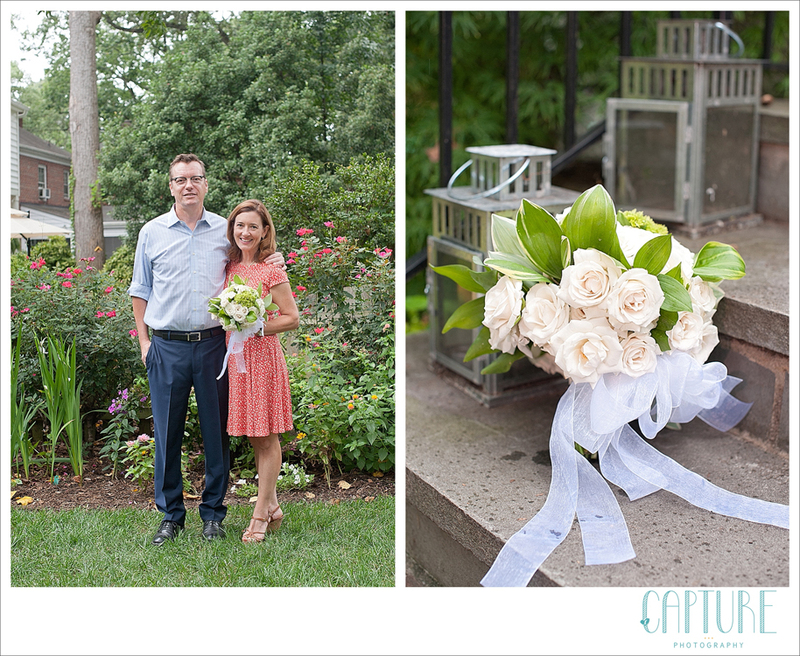 Even the flowers at Sunday Park matched the wedding colors! 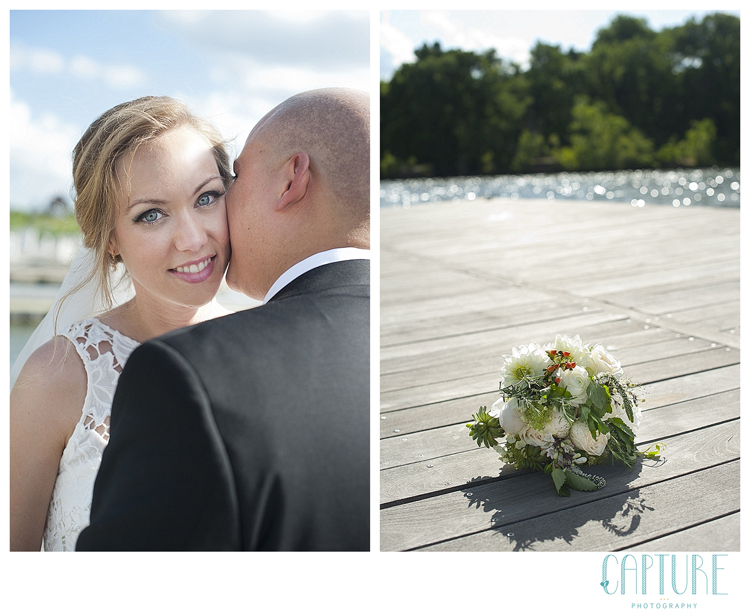 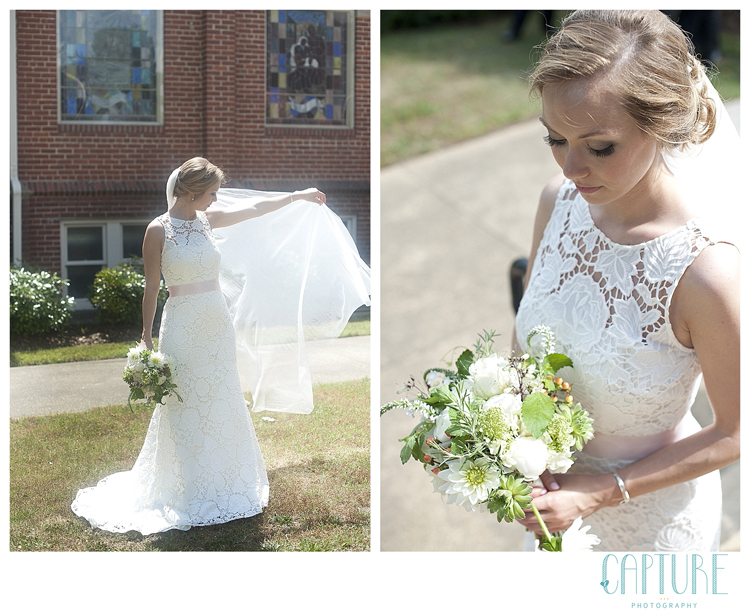 Courtney, you are SUCH a beautiful bride! 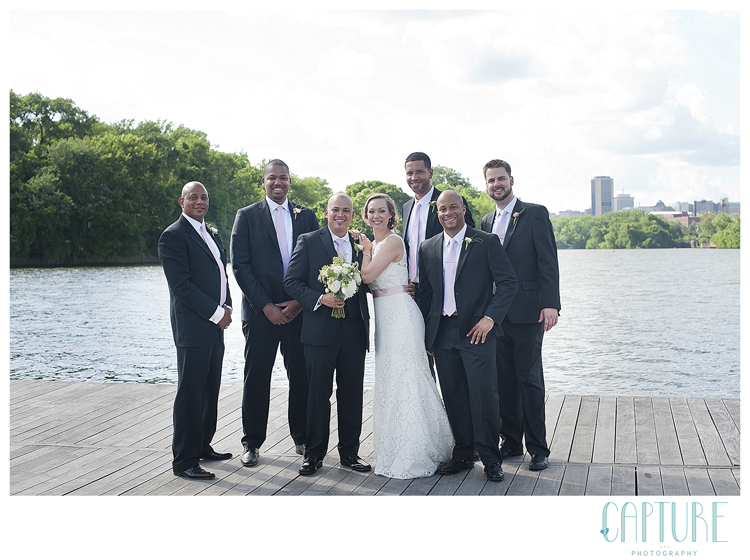 The ladies headed back to the hotel to wait for the ceremony, so we stole some time for photos with the groomsmen as well. 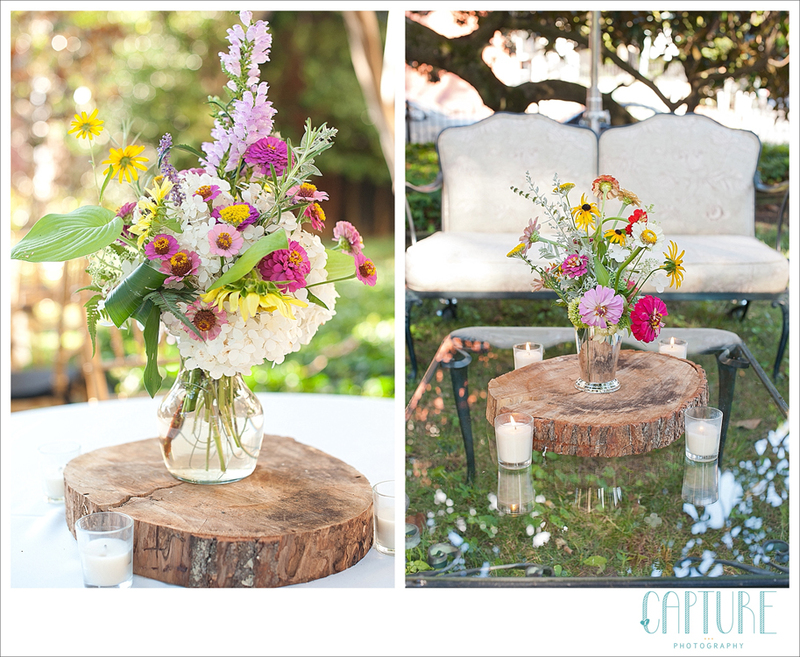 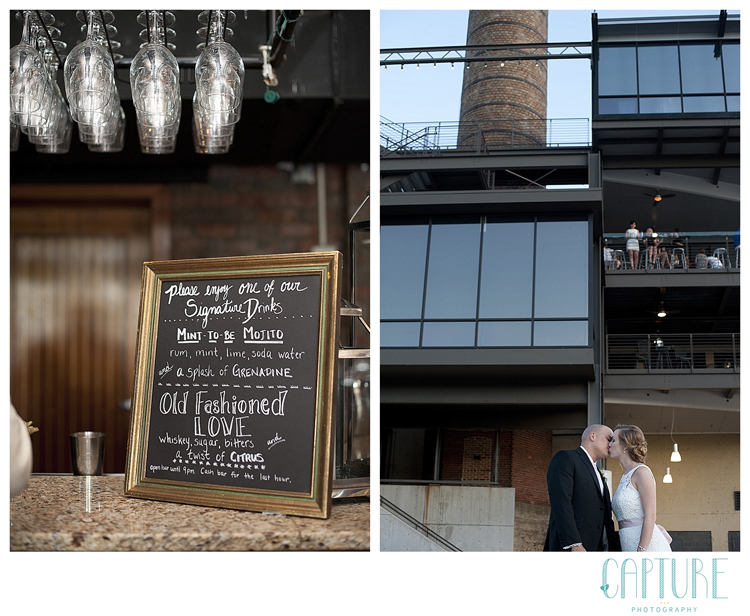 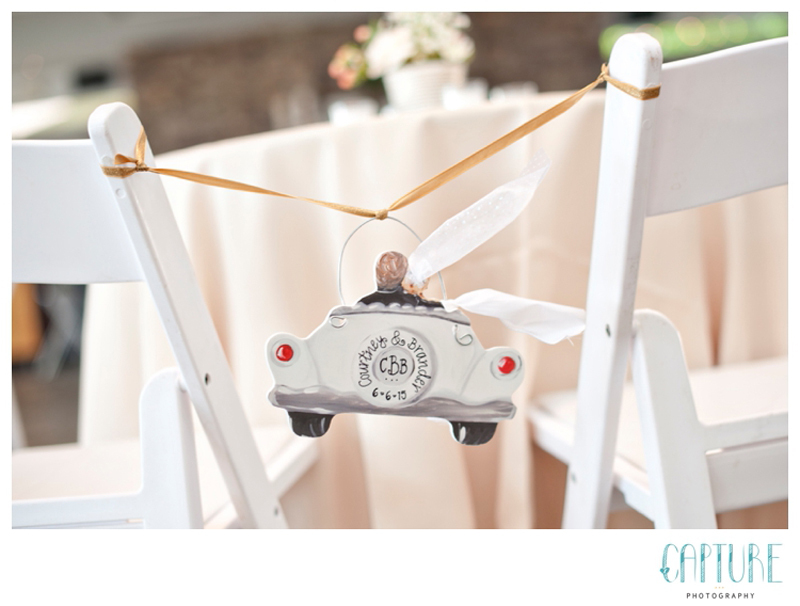 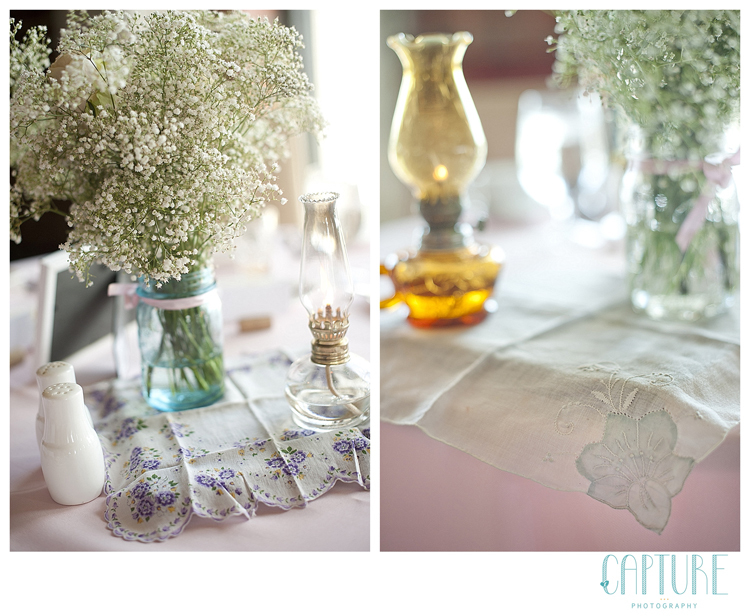 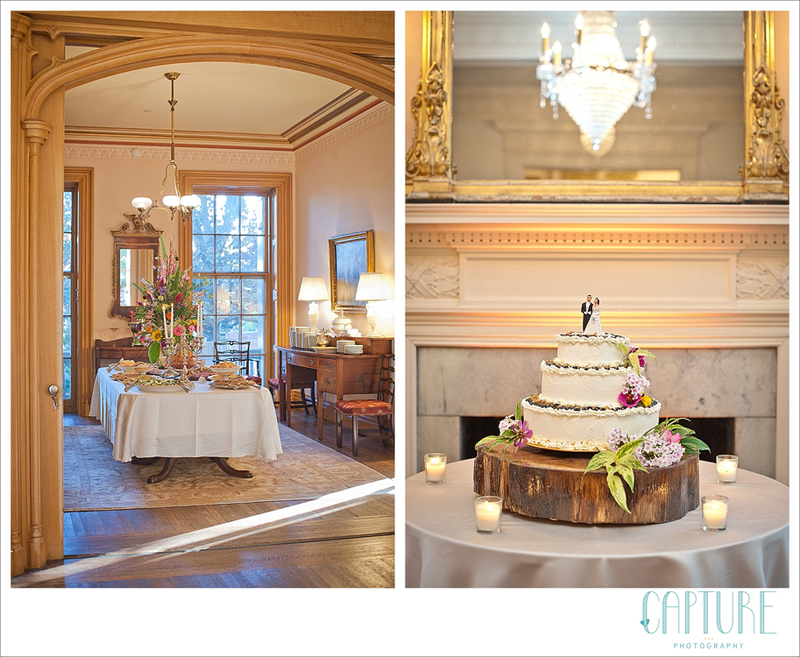 After formal photos, wedding mastermind Windy of LK events made sure we have a few minutes to photograph the reception space, and there were so many beautiful details! 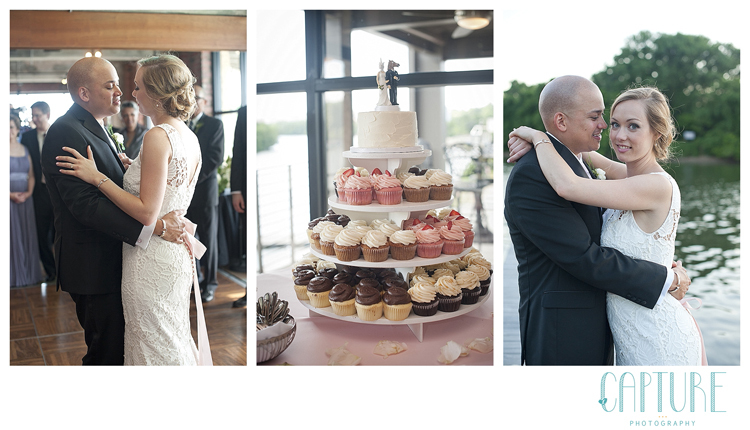 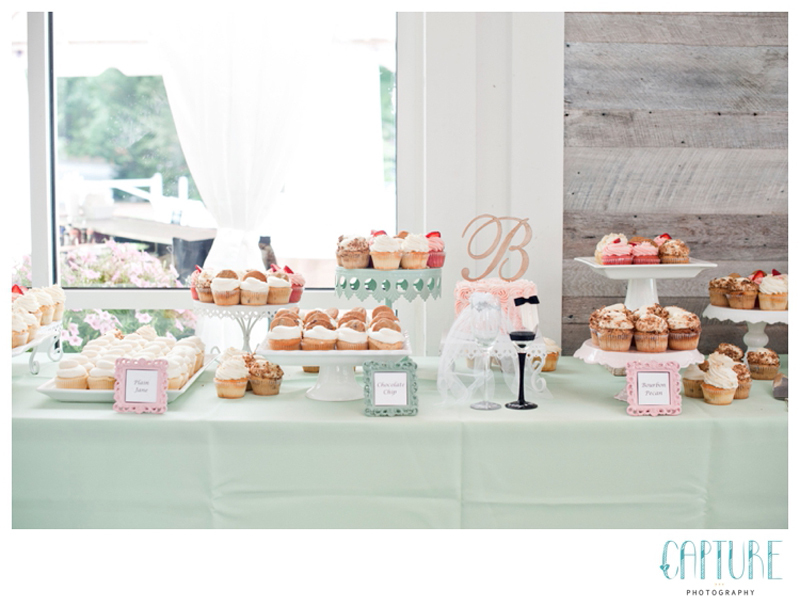 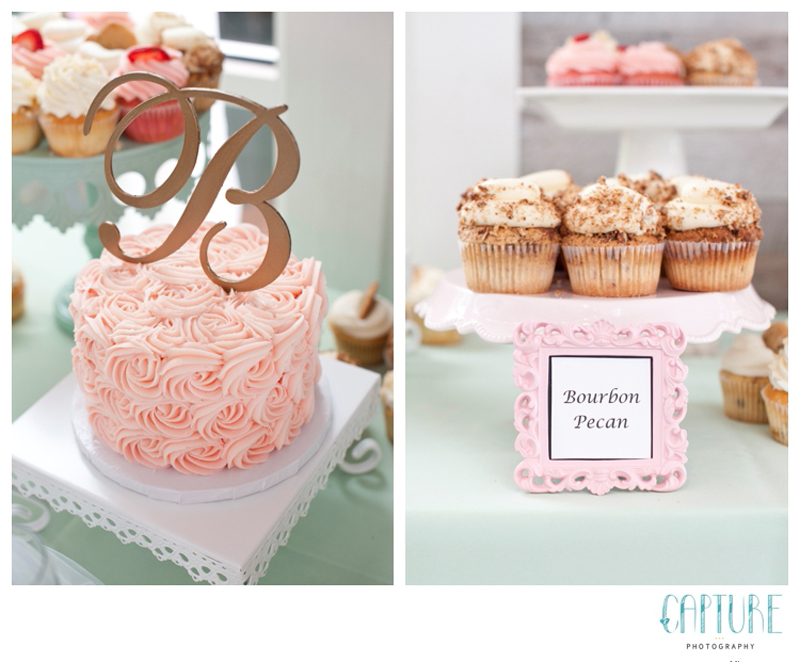 We are obsessed with Pearl’s Cupcakes..they are always beautiful and taste even better than they look! 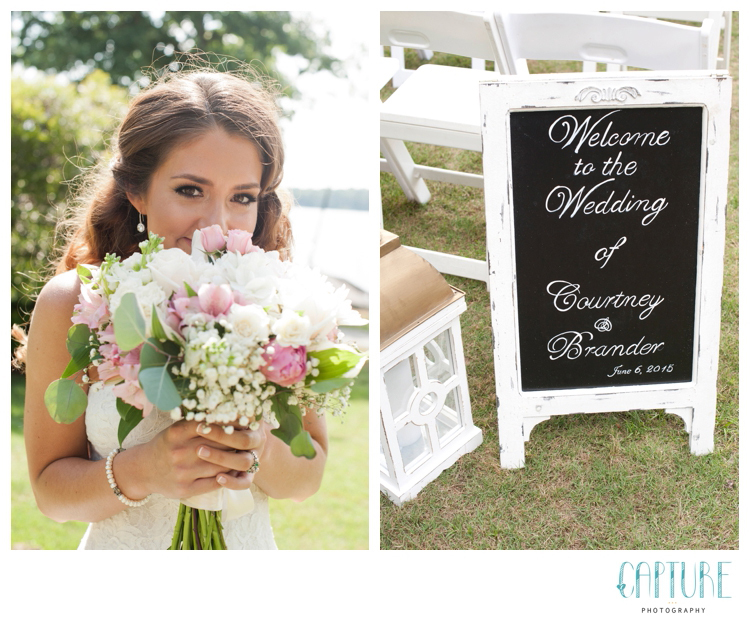 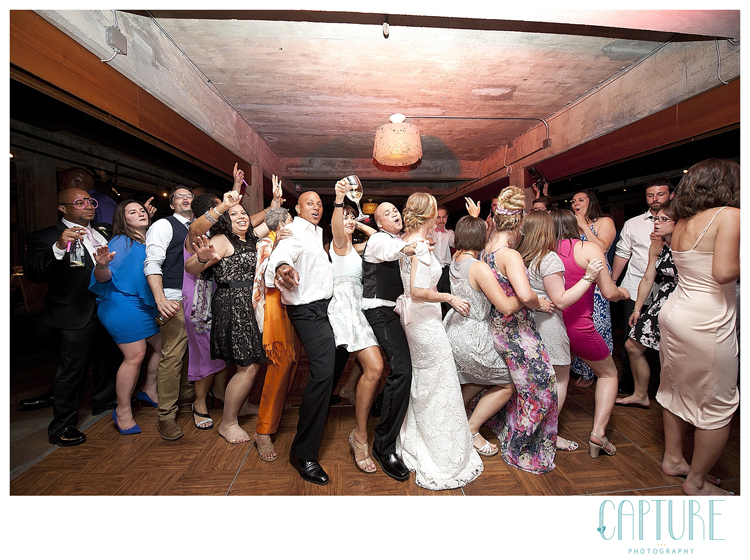 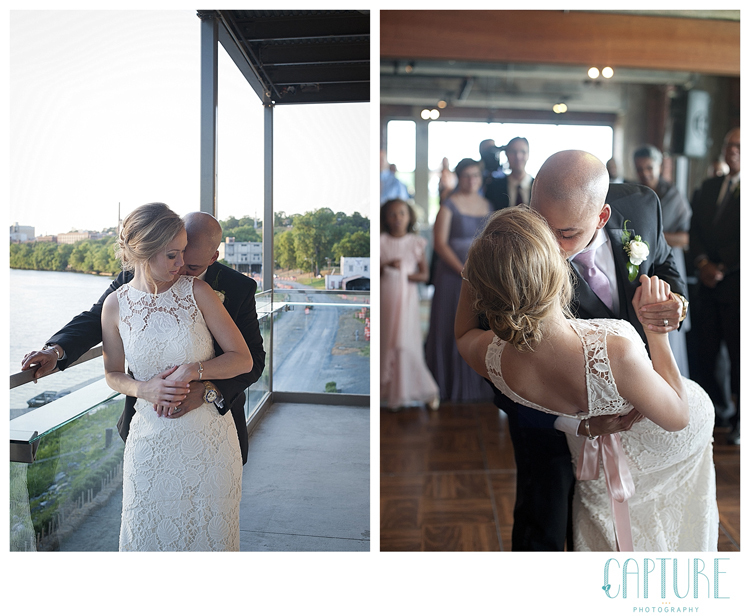 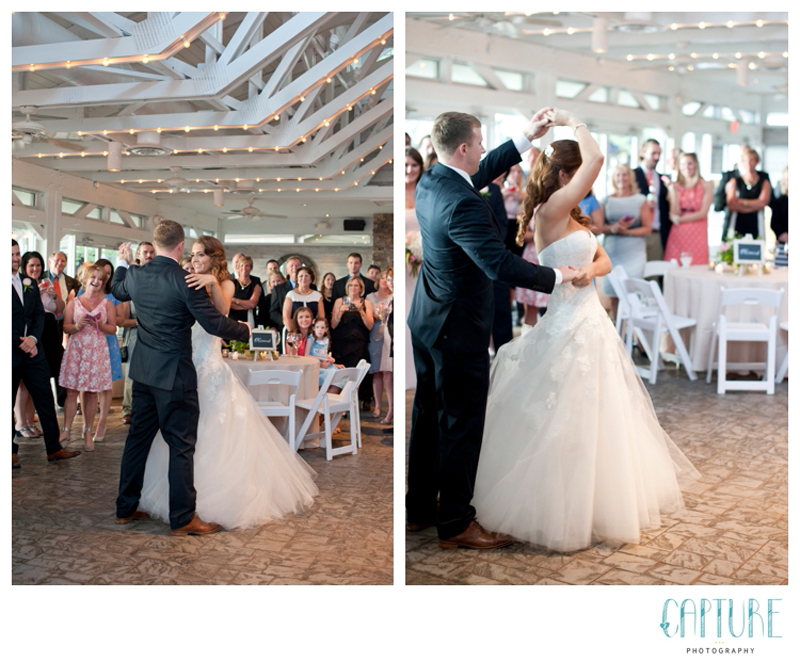 Courtney and Brander has an extra sweet first dance, complete with fancy choreographed moved! 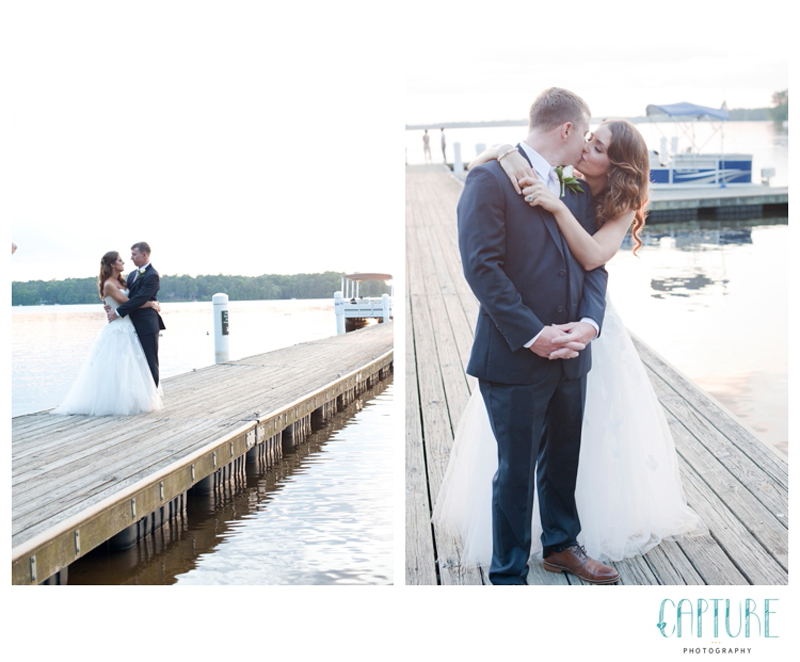 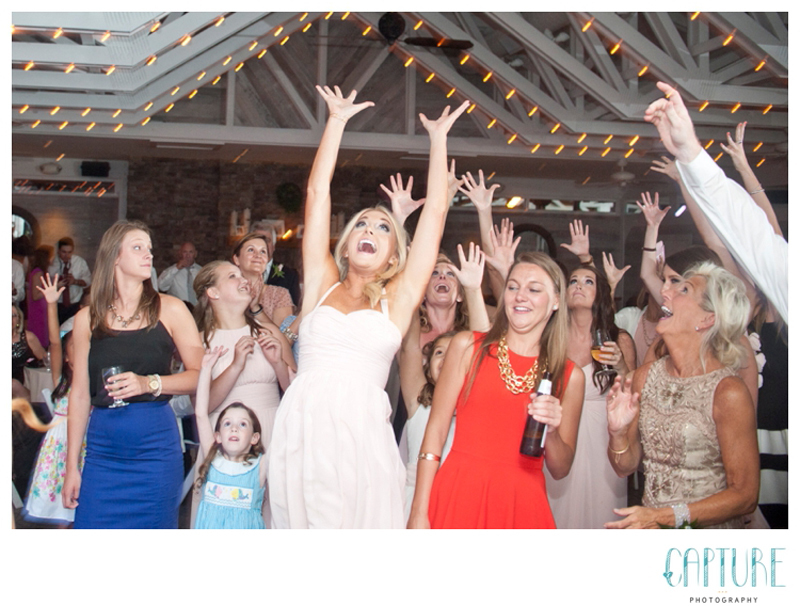 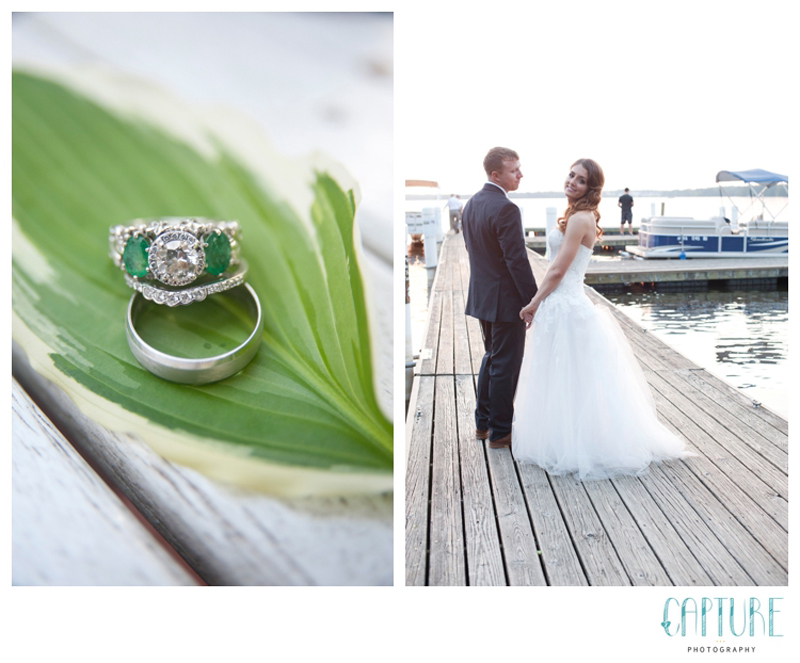 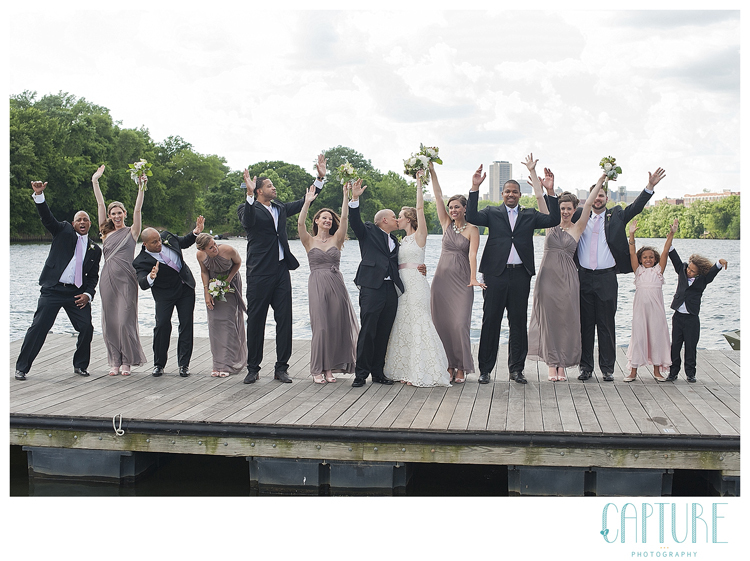 After dinner, we snuck away for a few photos on the ever-beautiful docks on the Brandermill Waterfront…..
We might be bias, but we’re pretty sure this is the best bouquet toss moment we’ve ever captured…. 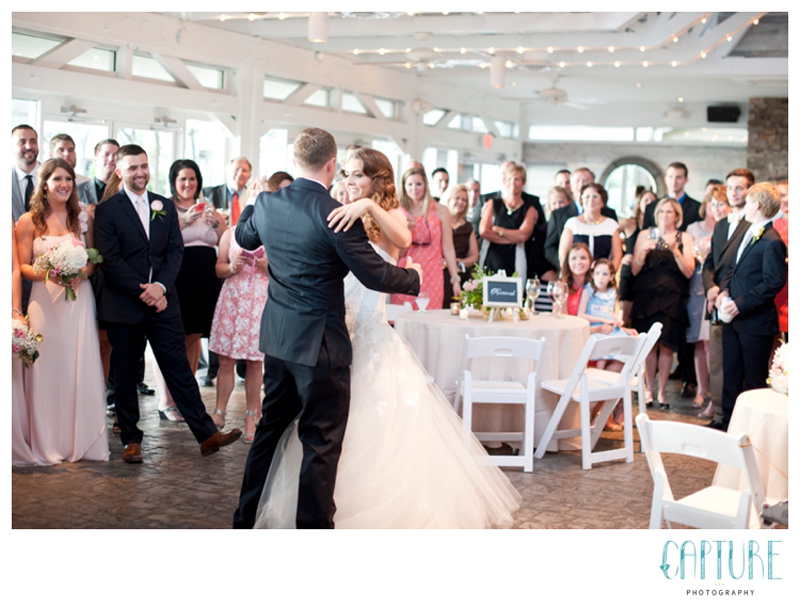 We’ll end with this photo of Courtney & Brander stealing one last kiss at the end of the evening. 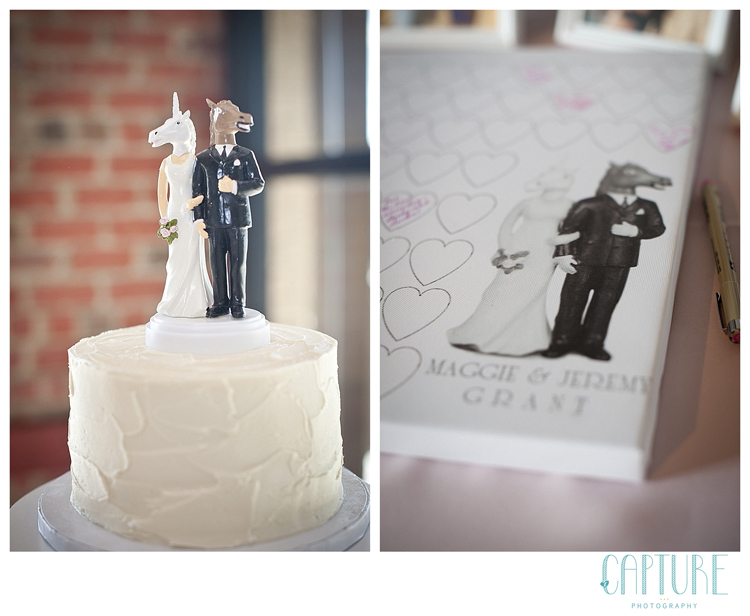 Congratulations on a fabulous wedding, and may you share many happy years together!